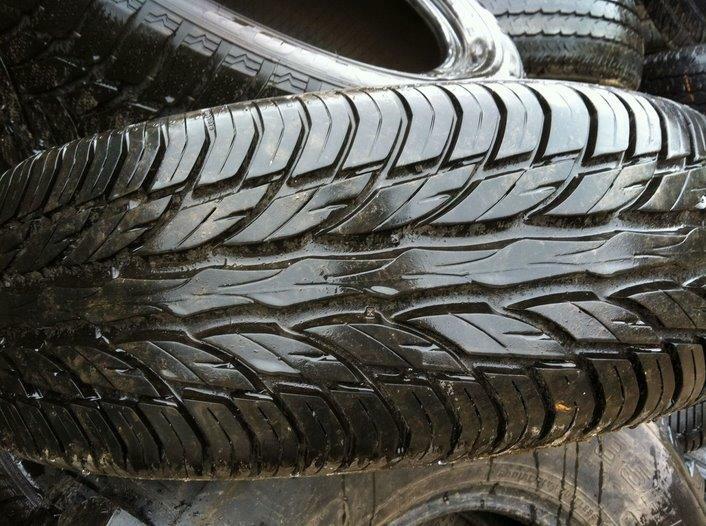 All tyres are in a good condition and inspected by sight according to our quality guarantee. All Prices are EXW and without additionally incidental expenses like Transport, Tripples, etc. 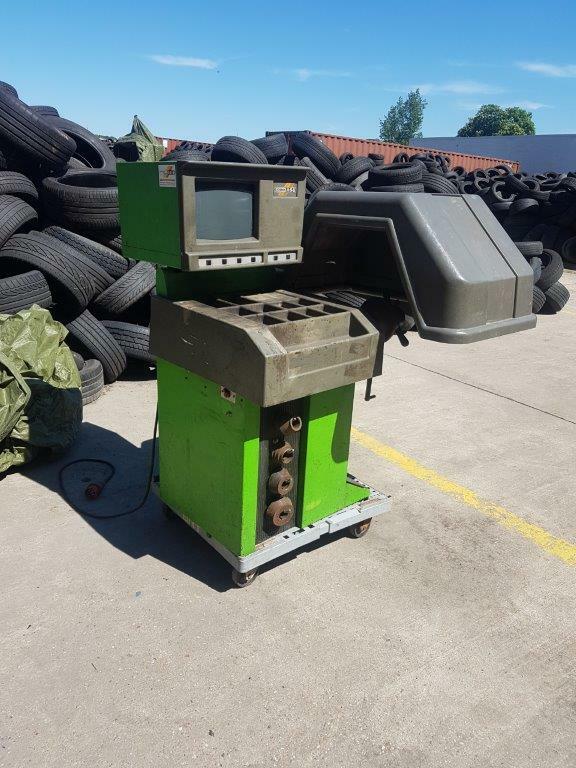 Together with your next order 2-5 mm, we will give you a balancing machine. 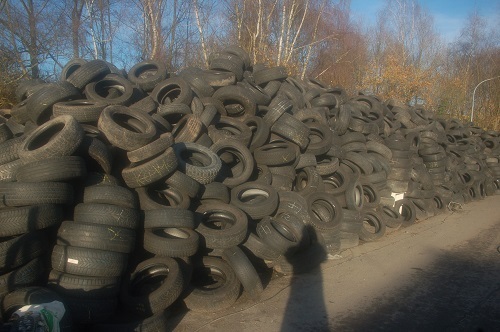 The machine is used but in good condition and fully functional. 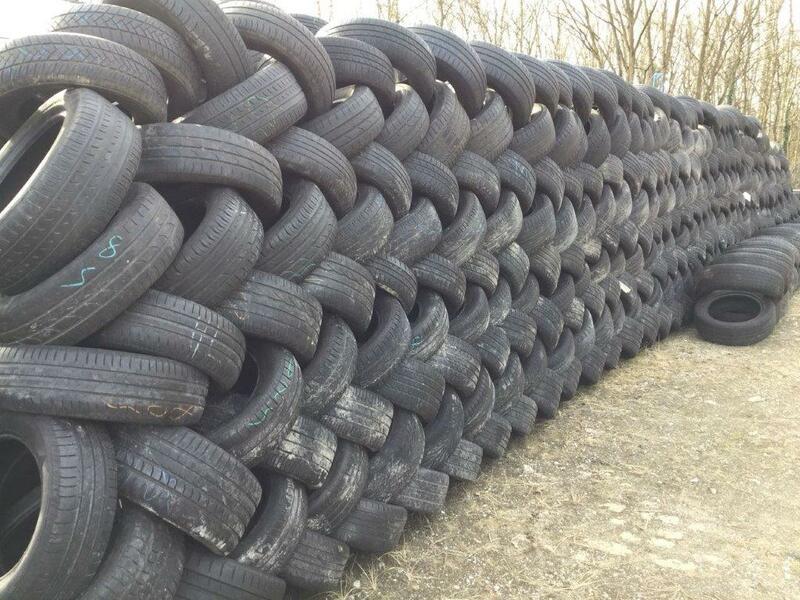 We will give you the balancing machine if you order a 40 foot container with tires 2-5 mm. This offer or your own choice. 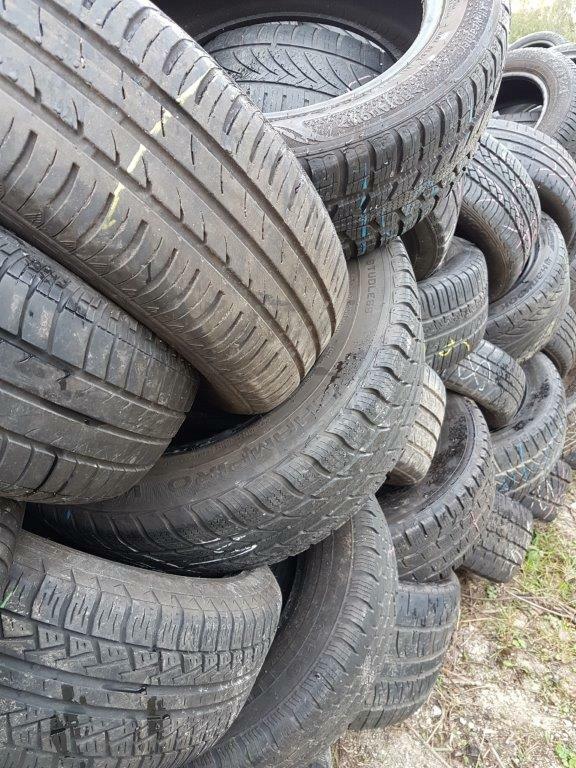 All tires are new or driven only a few miles. 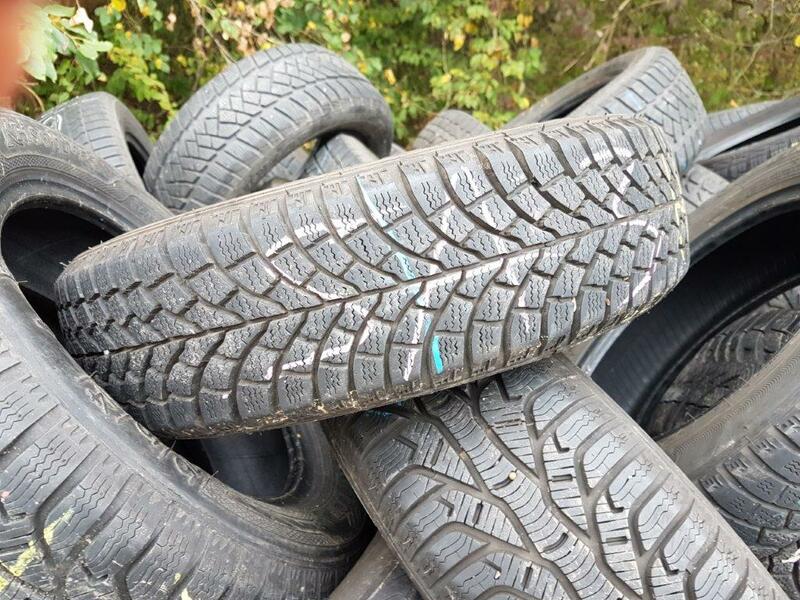 They are mostly summer tires. We help you. 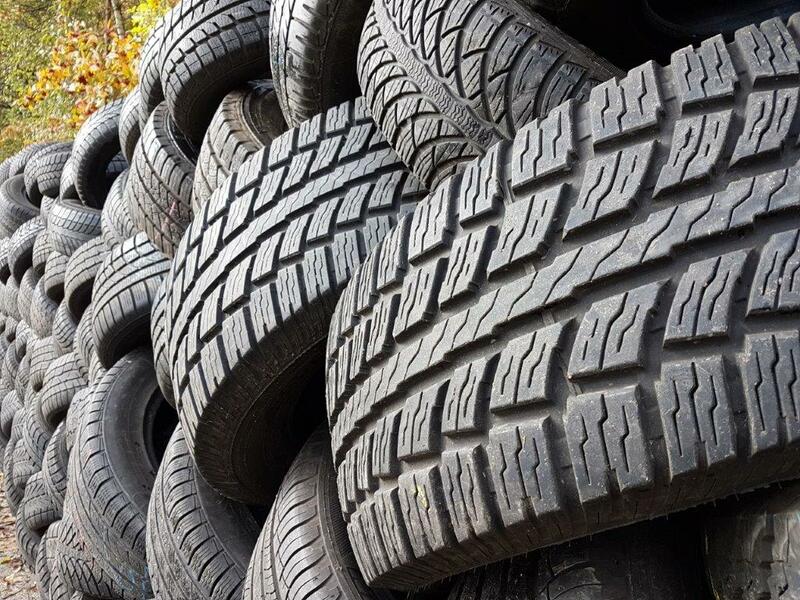 You benefit from the purchase of the truck AND the tires. 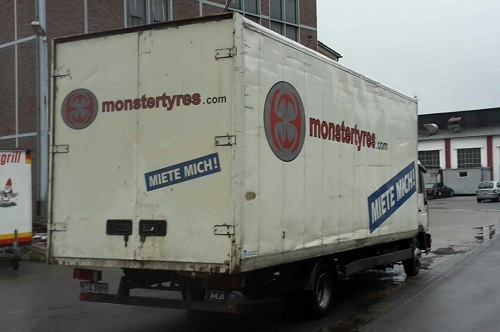 The sea transport is paid per meter of the truck. 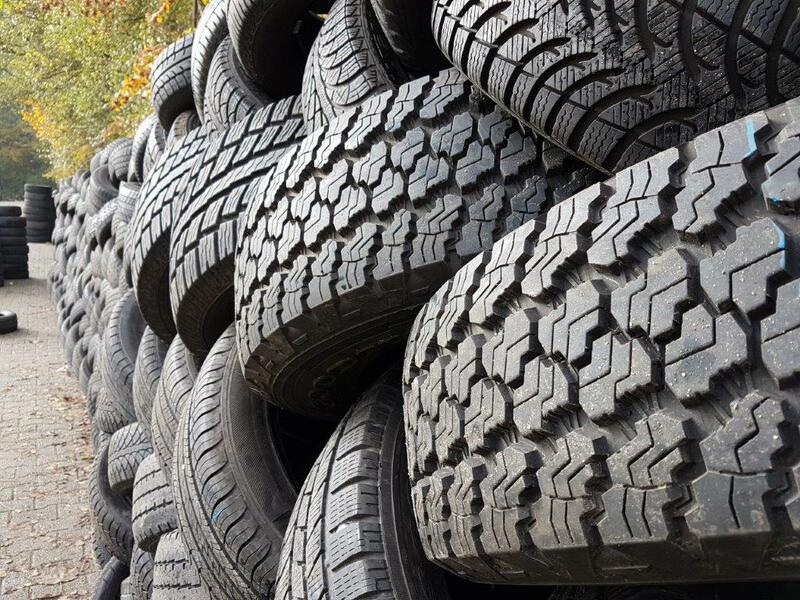 The more goods you put in the truck, the better. 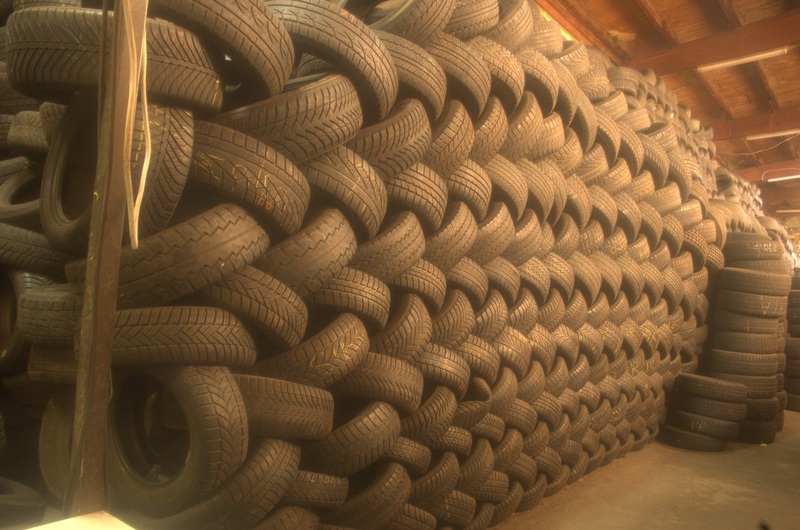 We organize the right transport for you. The sea transport is made by roro (rollon rolloff) ships. 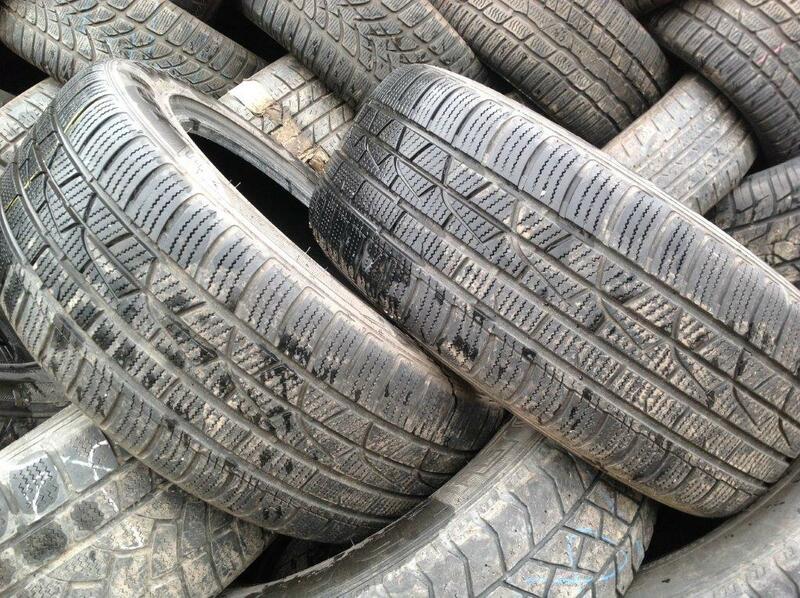 The vehicles must be roadworthy, which means they must be able to drive on their own. 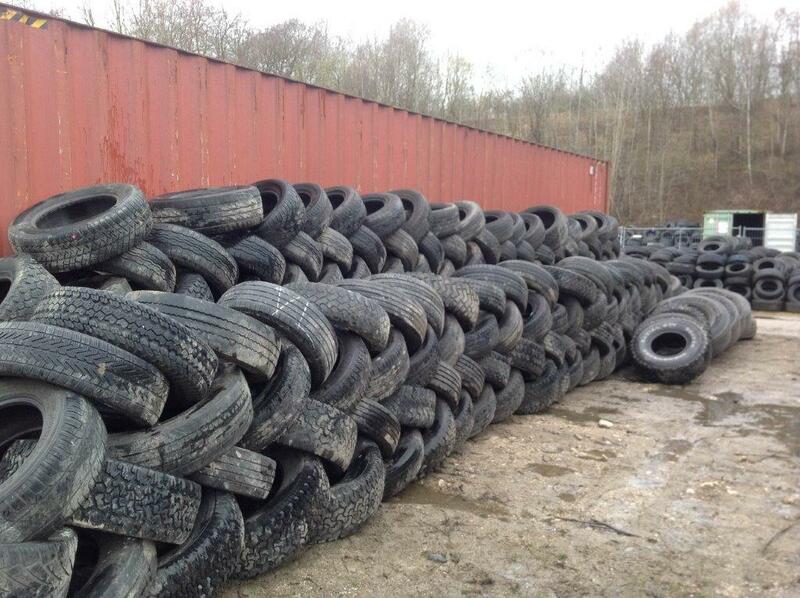 The freight costs are calculated per meter. 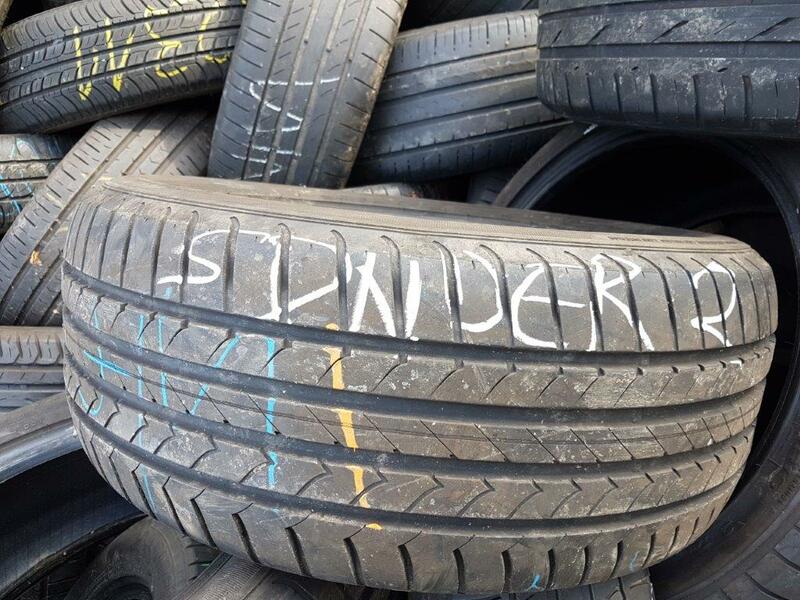 You can see a good example here at Hansen Shipping. You can drive the truck yourself to the destination or port. 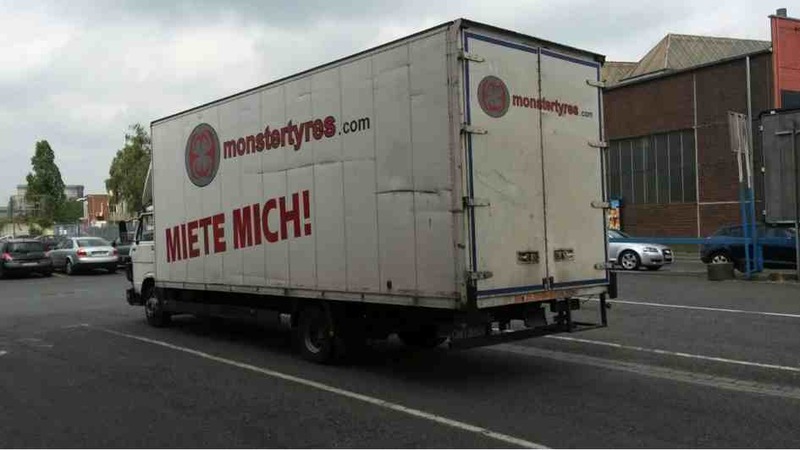 You can do that if the truck can be registered in Germany. Then you can register it yourself and drive it with a customs license plate or export license plate by yourself. 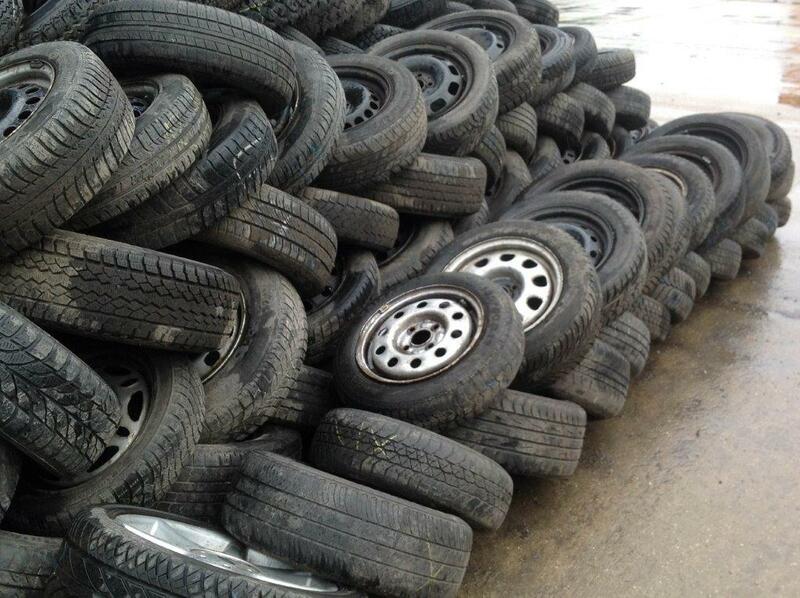 If this is not possible, have the truck picked up by a freight forwarder. There are many freight forwarders who handle the entire transport. 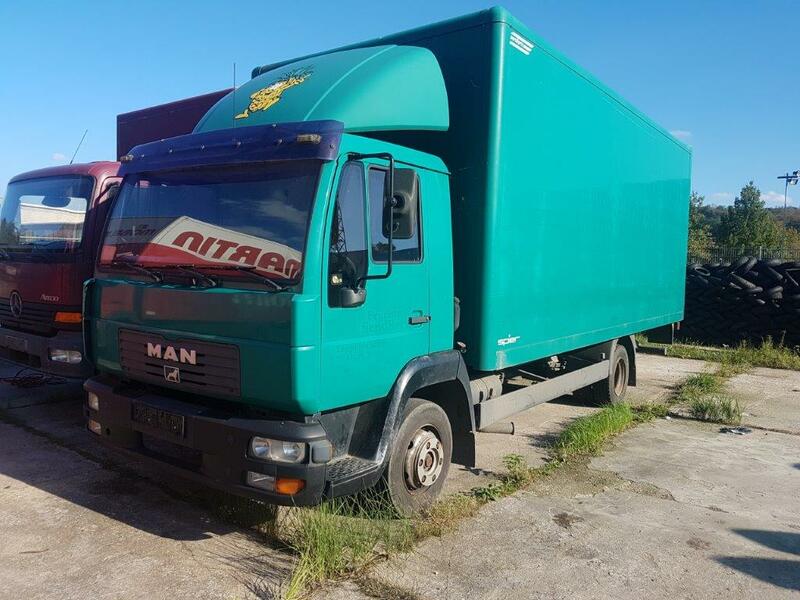 For a fixed price you will receive our truck with the necessary registration documents so that it can drive on his own wheels. The price depends on the vehicle. 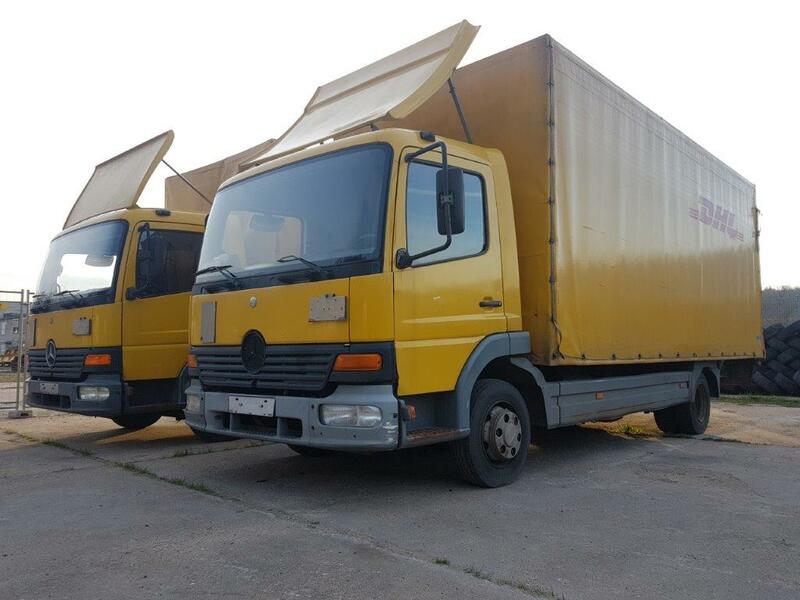 If you buy 2 trucks you will receive until 30.06. 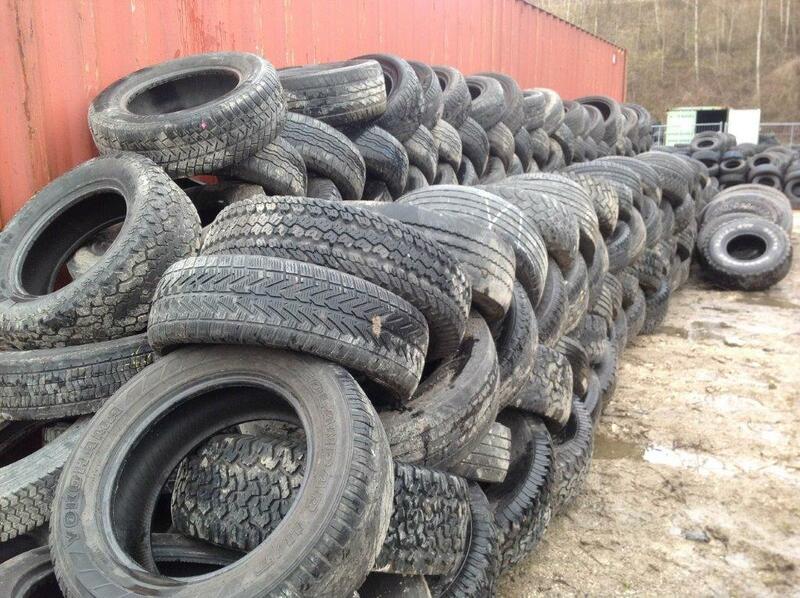 All truck offers can be found here. 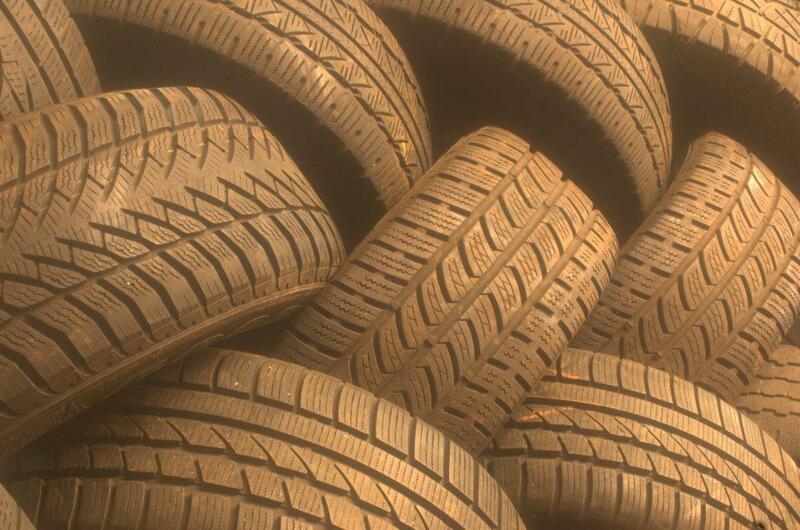 All tire offers can be found here. 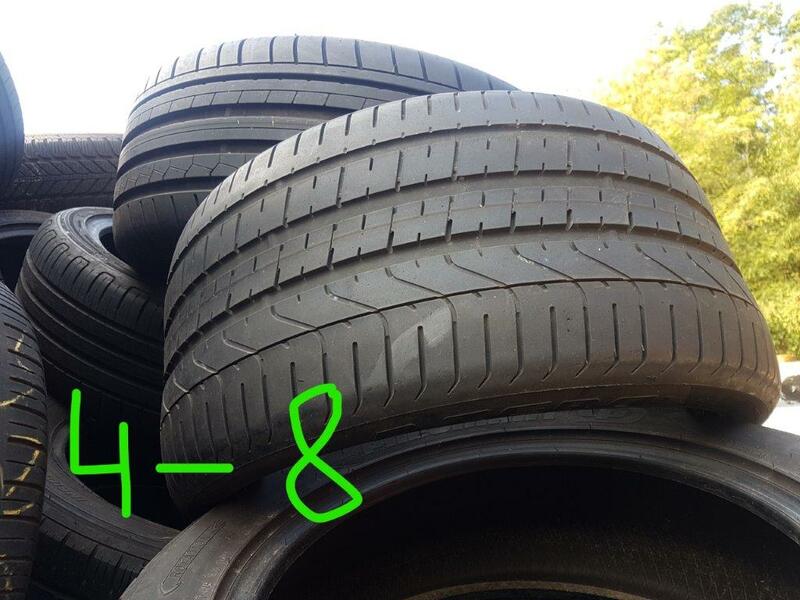 Today he shows you: 2-5 mm tires for Africa, South America. 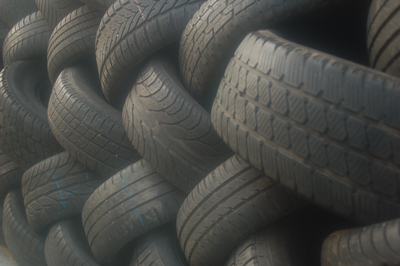 We have inspected 100 tires for you to see how our quality standard is. 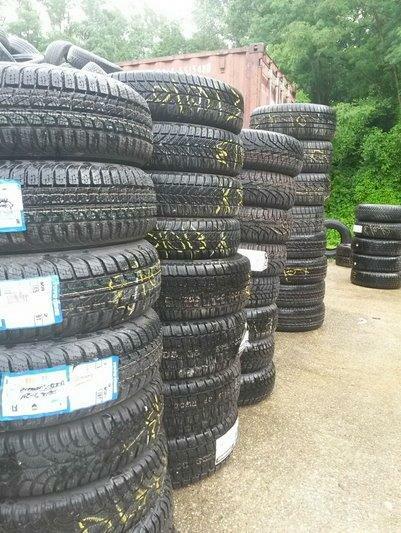 These tires are a very good compromise in price and quality. Small and middle flaws are possible but not so common. 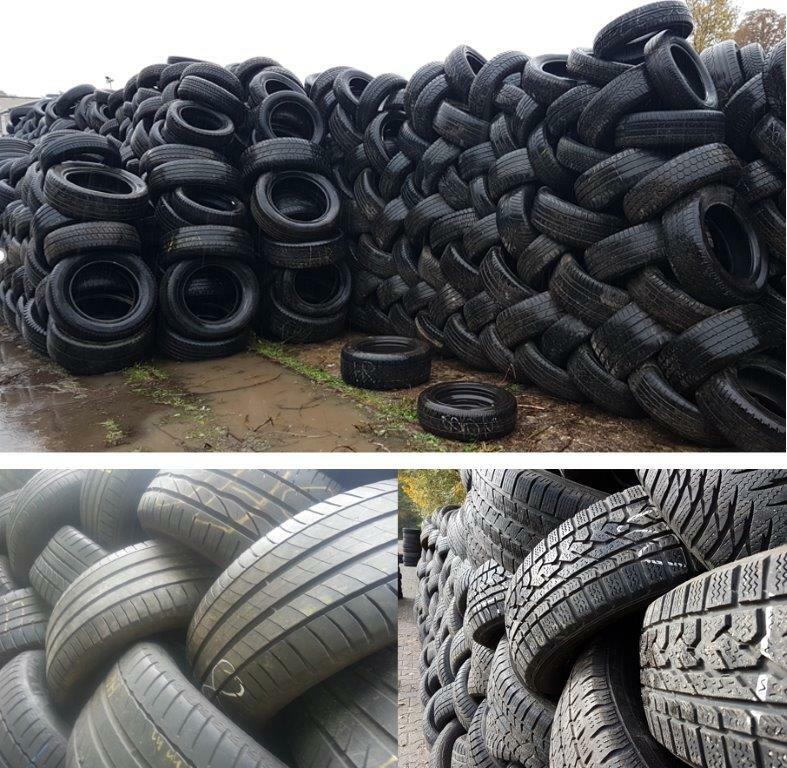 There may always be a couple of second choice tires (see Quality Guarantee). 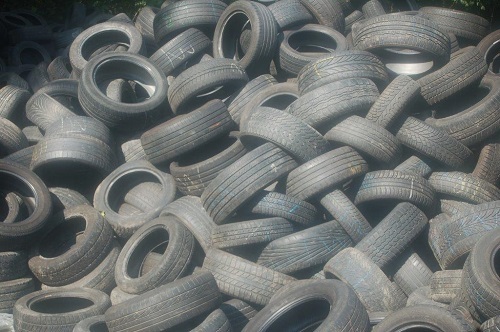 70% of the tires are absolutely faultless, beautiful and intact. 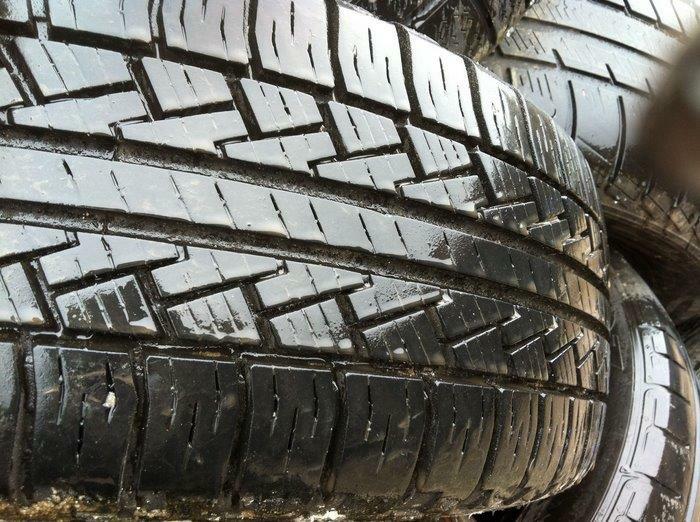 30% of the tires can have small to medium problems. 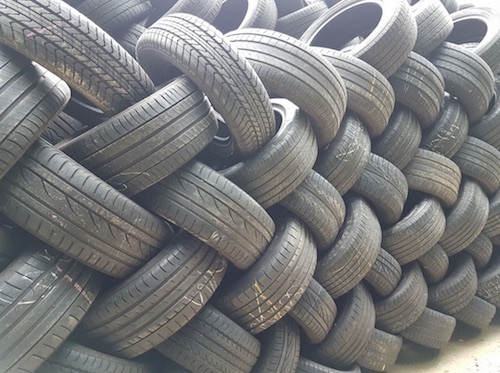 All tires are still good for use. The tires may be slightly porous, may have small rubber breaks, minor bumps on the tread, etc. Please watch the video. 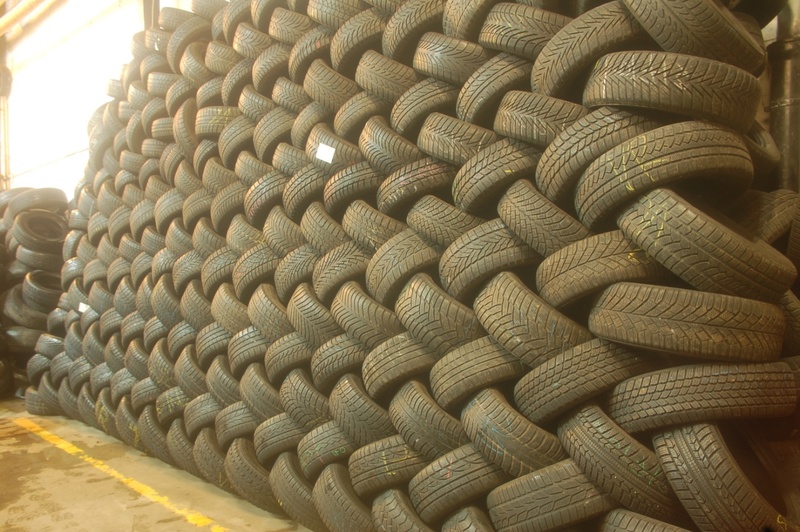 You don´t like all tyres from this list? 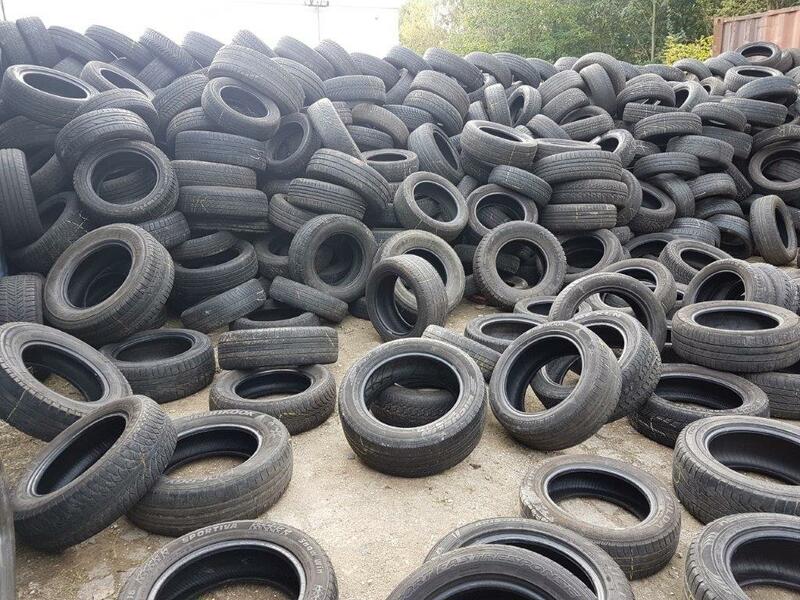 Do you want to order other tyre mixtures? Here you will find our prices and products. When you buy the trucks together with tires, you get a 10% discount on the tires that fit into the truck. 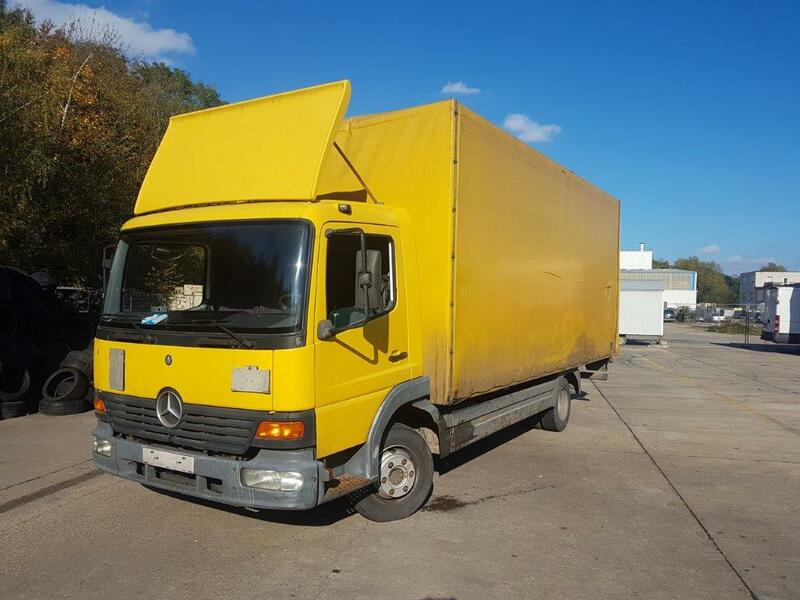 Mercedes Benz, built 2001, about 468.633 km, Box inside 6.20 mx 2.35 mx 2.40 m (total length 8.20 m), permissible total weight 7.5t, 3 seats, 110 KW (150 hp), Diesel , rear hydraulic ramp.TÜV (technical approval for Germany) to 11/17. The truck has a Box. The cover is above the Box. This is a clean beautiful vehicle in good condition. 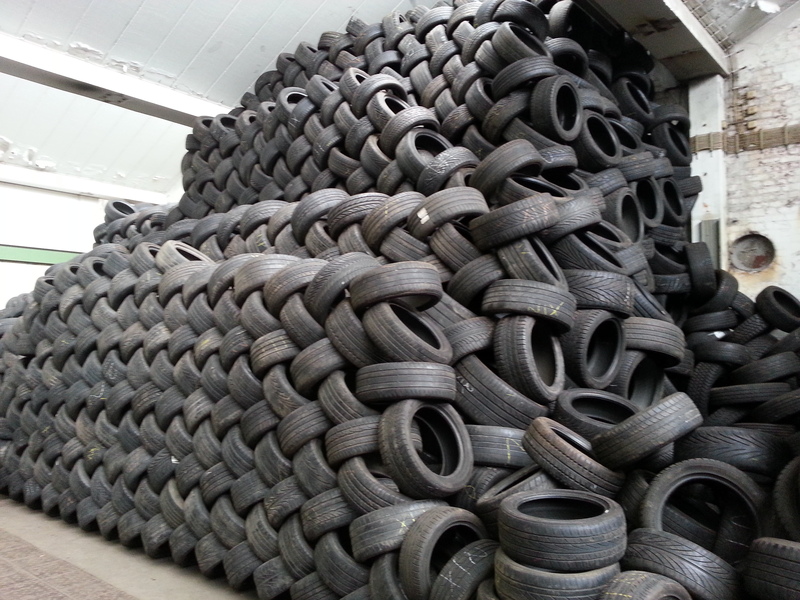 In this truck you can load about 500 tires. 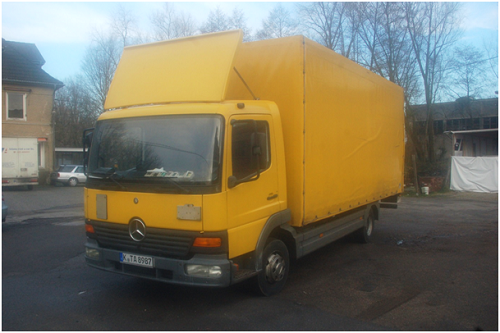 Mercedes Benz, built 2001, about 519.656 km, Box inside 6.20 mx 2.35 mx 2.40 m (total length 8.20 m), permissible total weight 7.5t, 3 seats, 110 KW (150 hp), Diesel , rear hydraulic ramp. The truck has a Box. The Cover is above the Box. 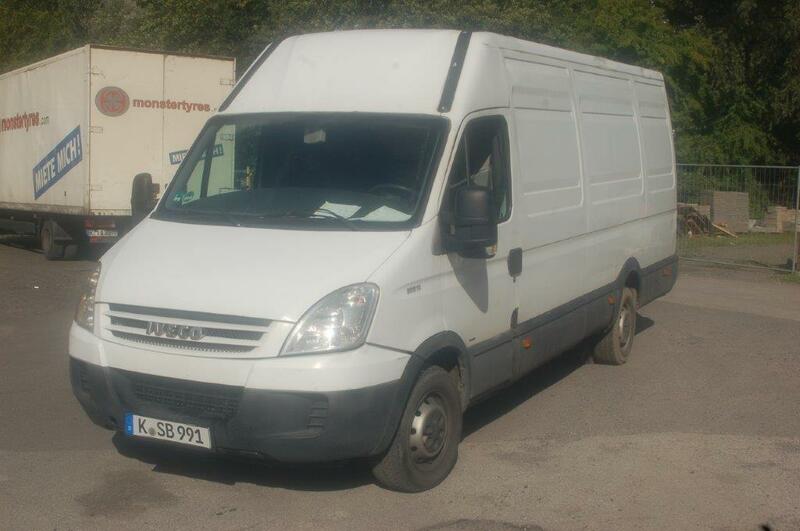 This is a good vehicle in good condition with small defects. The vehicle drives well. In this truck you can load about 500 tires. 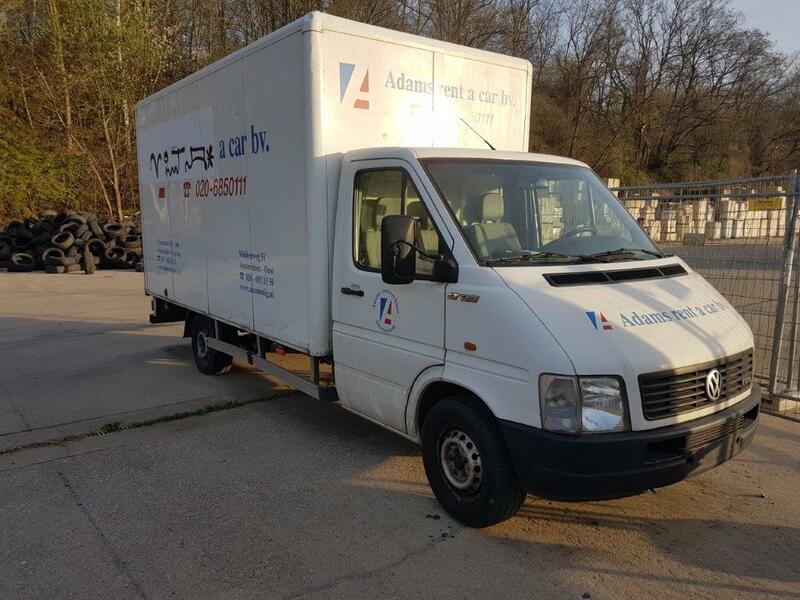 Built 2001, about 313.325 km, Box inside 6,10m x 2,38m x 2,48m (total length 8,20 m), permissible total weight 7,5t, 3 seats, 114 KW (155 hp), Diesel. Rear hydraulic ramp, Heater (independent vehicle heating). 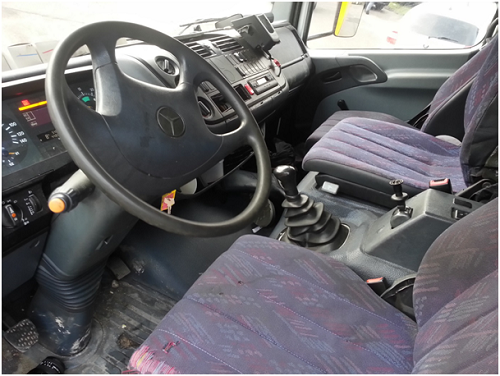 This is a good vehicle in good technical condition. 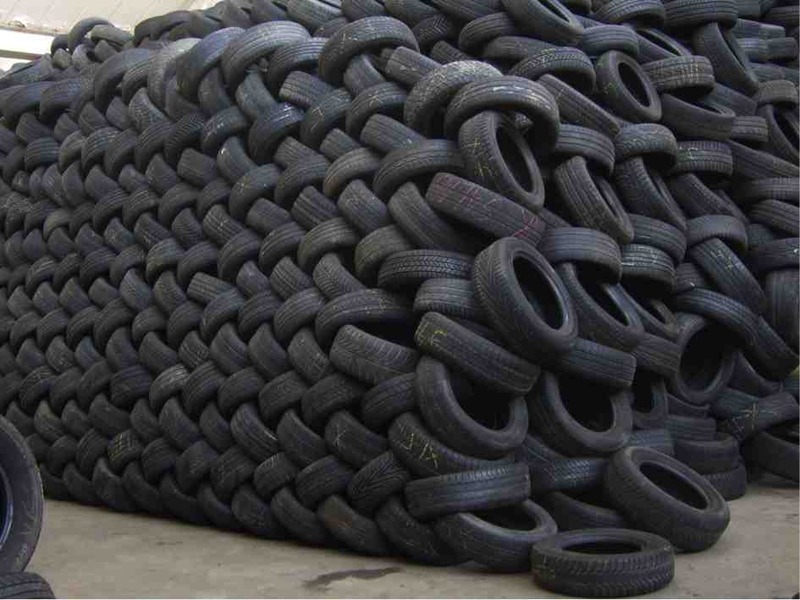 In this truck you can load about 500 tires. 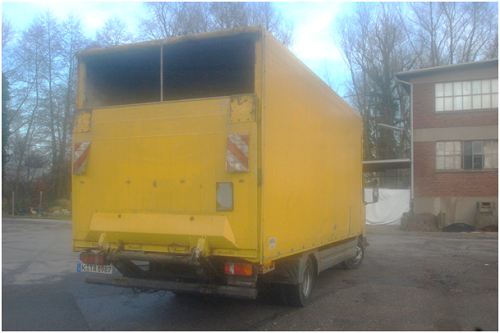 Built in 10/2008, 278.590 km, box inside 4,58m x 1,75m x 1,95m. 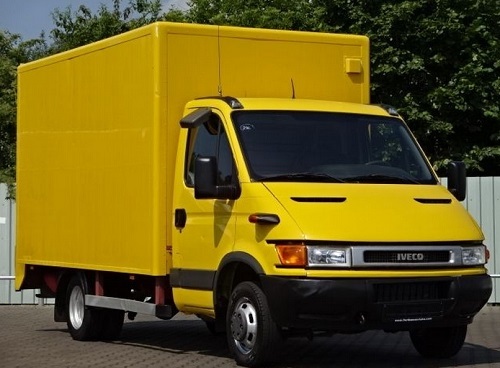 total length 7,01m, total height 2,64m, maximum weight allowed 3,5 t, 3 seats, 85 KW (116 PS), Diesel. Turbocharger defect. 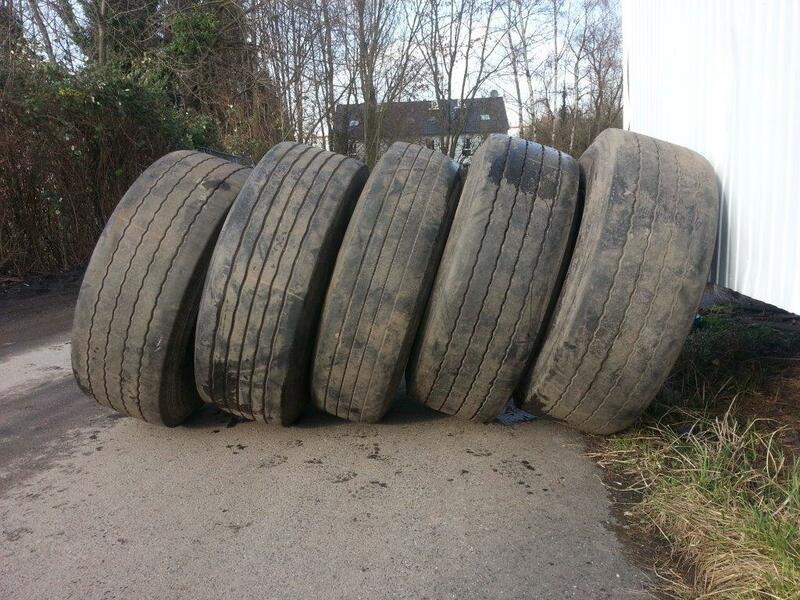 Vehicle otherwise in good condition. You can drive it home but not fast. 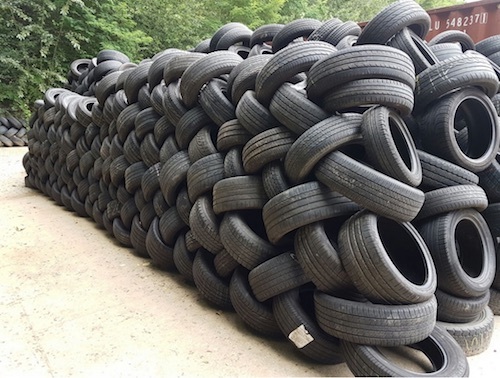 In this truck you can load about 500 tires. Year 01/2001, approx. 118.618 km, Box inside 4,12m x 2,01m x 2,12m. 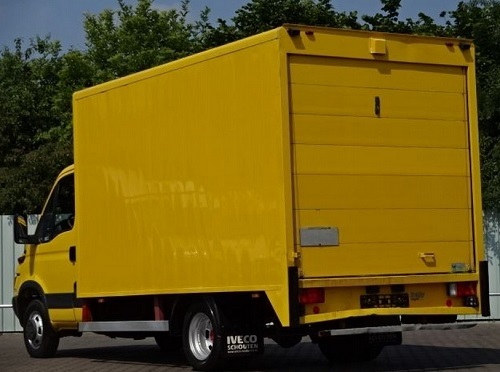 Total length 6,60m, total height: 2.87m, total permissible weight 3.5 t (additional up to 5.5 t registered) 3 seats, 70 KW (95 HP), Diesel. TÜV (technical acceptance for Germany)) up to 11/17. 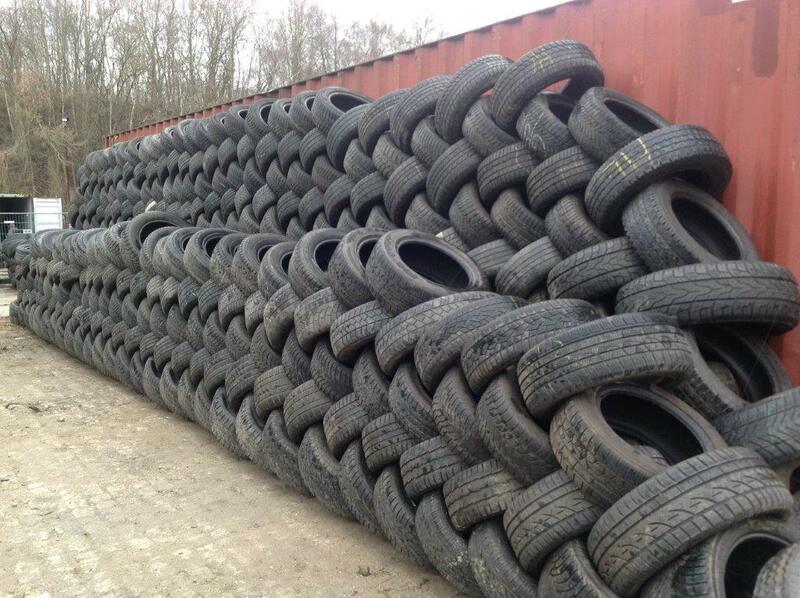 In this truck you can load about 220 tires. 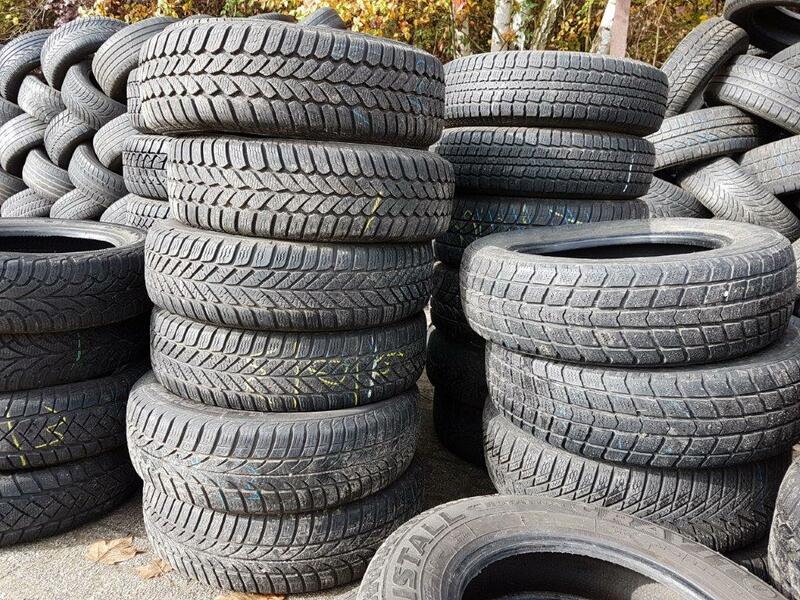 Here you can get a price for the tires immediately. 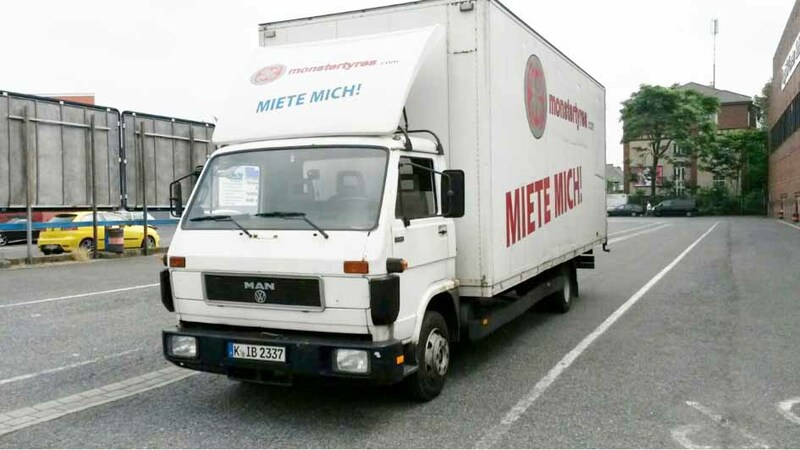 Please write in the comment you are interested in a truck. We deduct the discount on purchase. 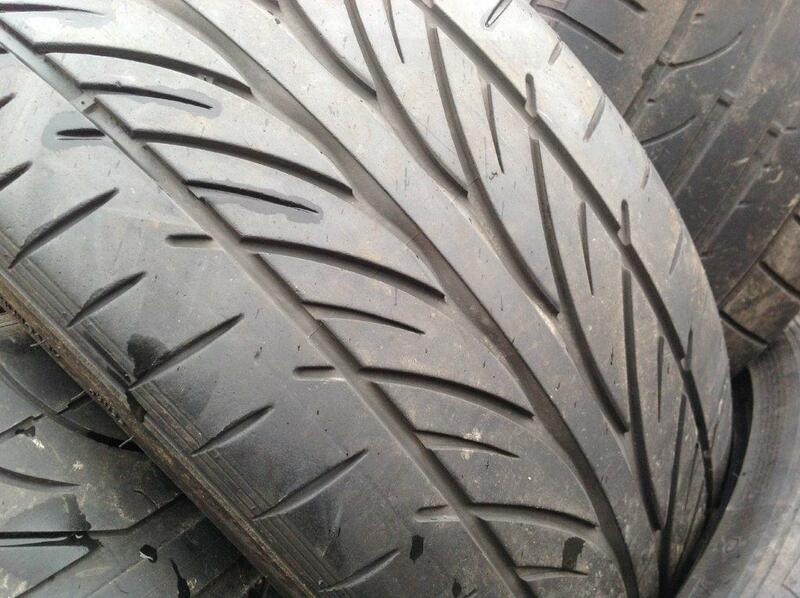 All prices EXW plus additional costs like transport, triple etc. 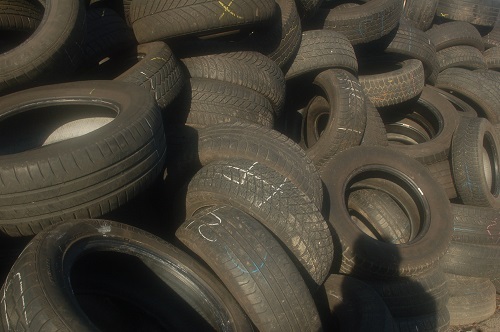 Tire sizes and numbers may differ slightly. 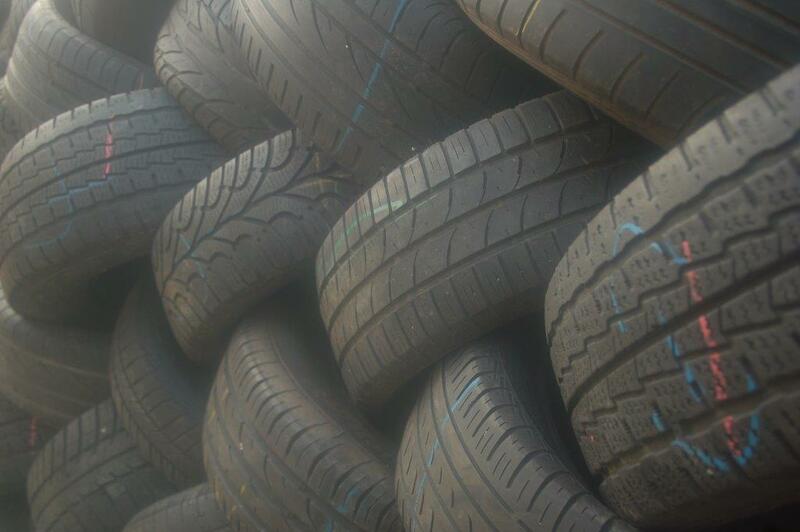 The tires are in a good, tested state according to our quality guarantee. You want to order something else? Here you can find our prices list. Prices EXW excluding incidental expenses such as transportation, triples, etc. This is an example. The actual number of pieces may be slightly different. All sizes as described under Price and Products correspond to our quality guarantee. 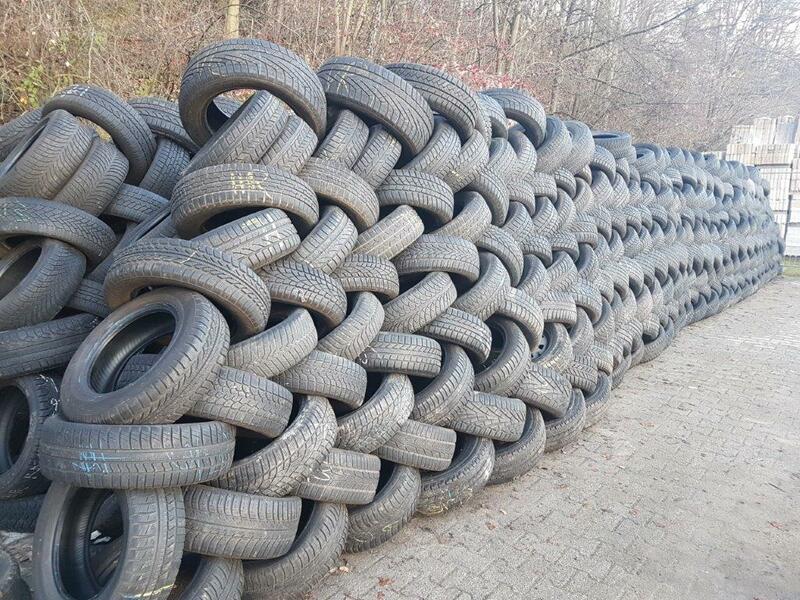 You can choose the tyres by yourself. 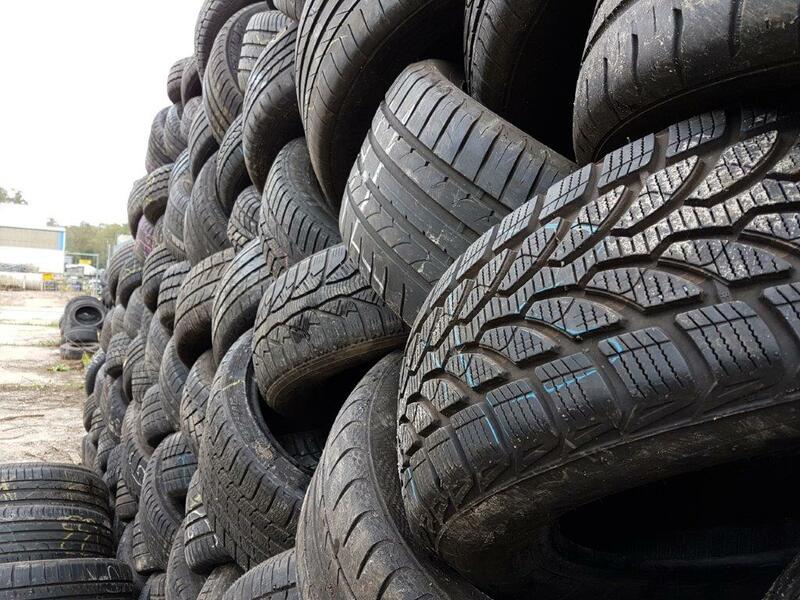 You must choose predominantly the tyres we can deliver. You can choose them here. 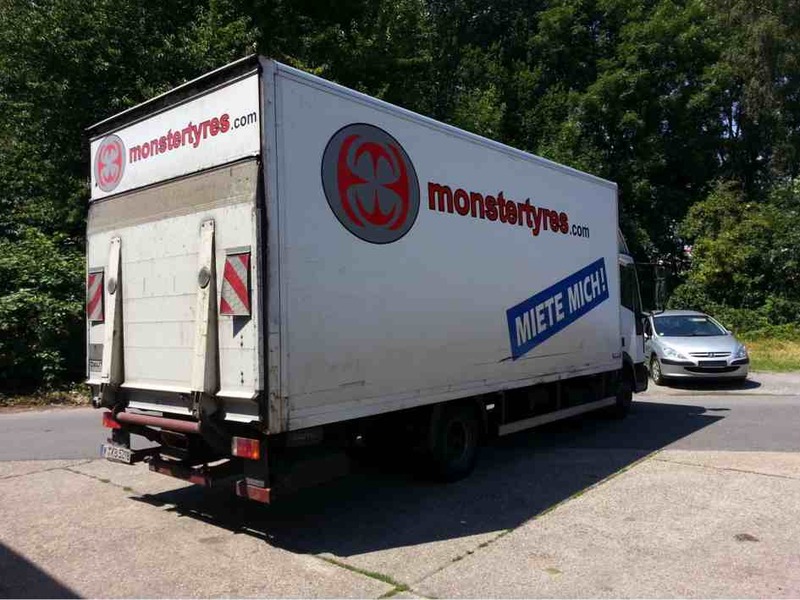 Year 10/2008, 276000 km, box body inside 4,58m x 1,75m x 1,95m. 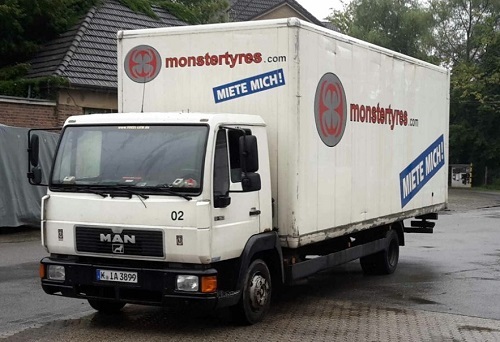 total length 7,01m, maximum weight allowed 3,5 t, 3 seats, 85 KW (116 PS), Diesel. 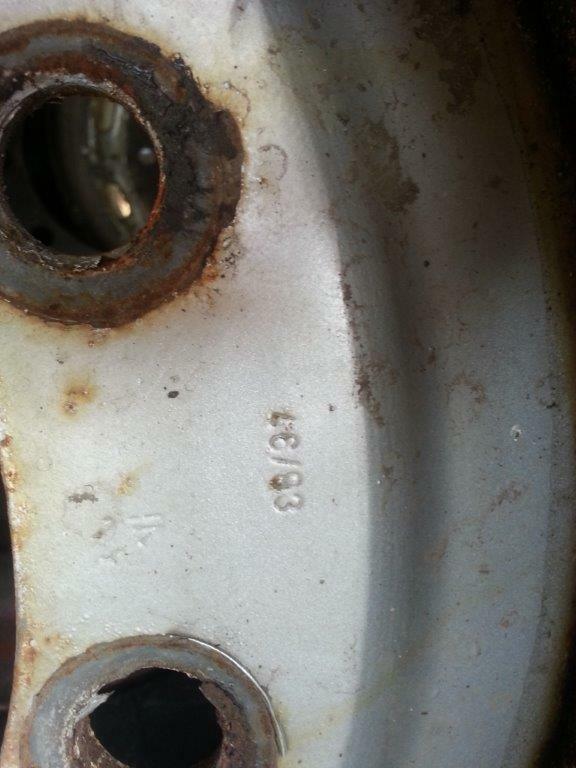 Turbocharger defect. 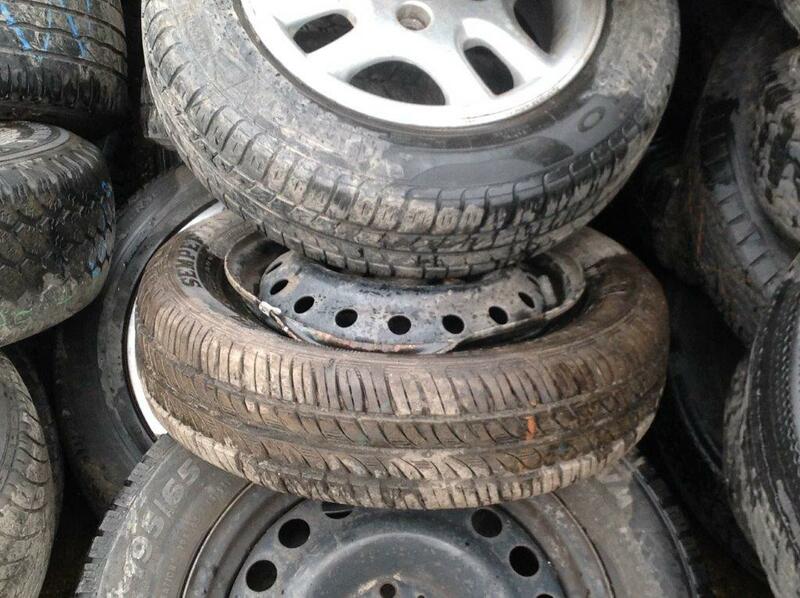 Vehicle otherwise in good condition. You can drive it home but not fast. 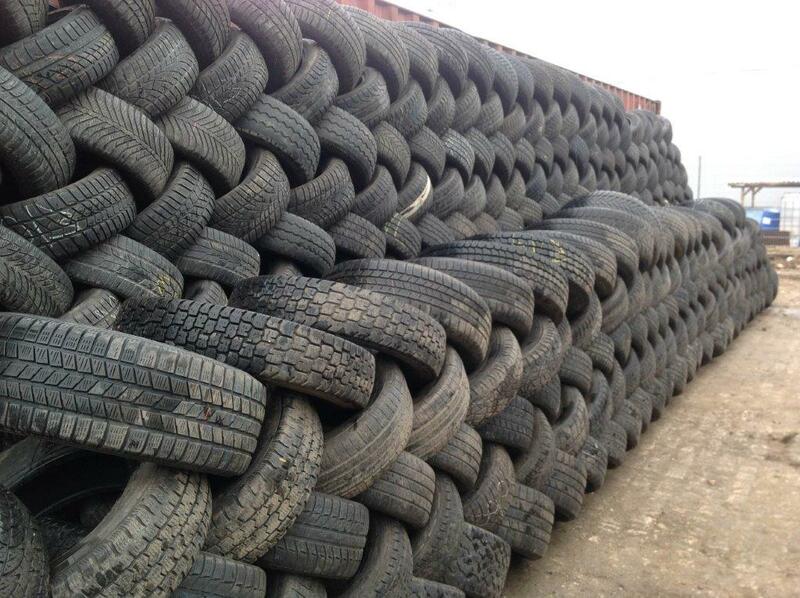 Do you want to order other tyres mixture? Products . 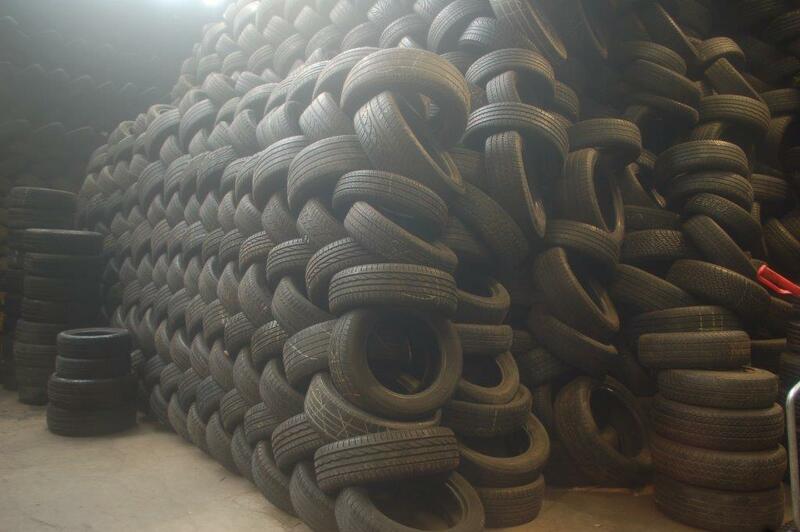 All tires correspond to our Quality guarantee. 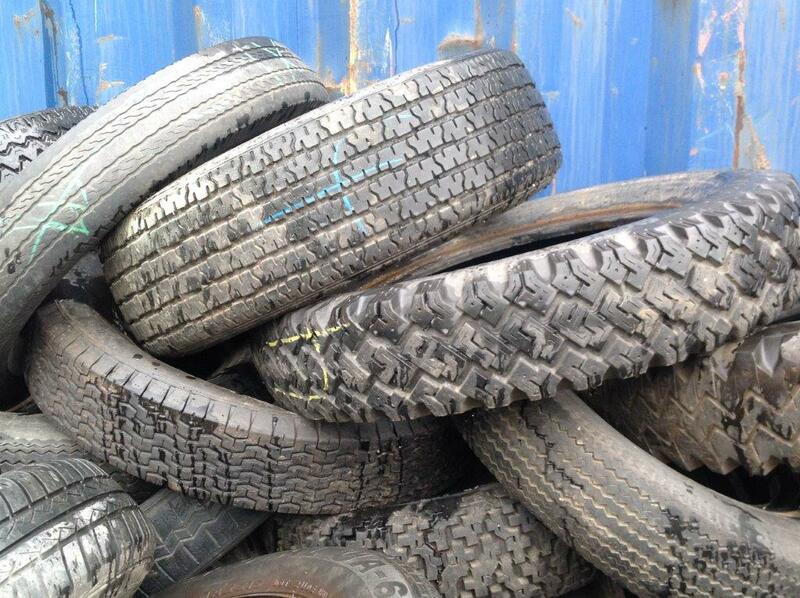 Here you can see select other tyre mixtures Direct to inquiry. 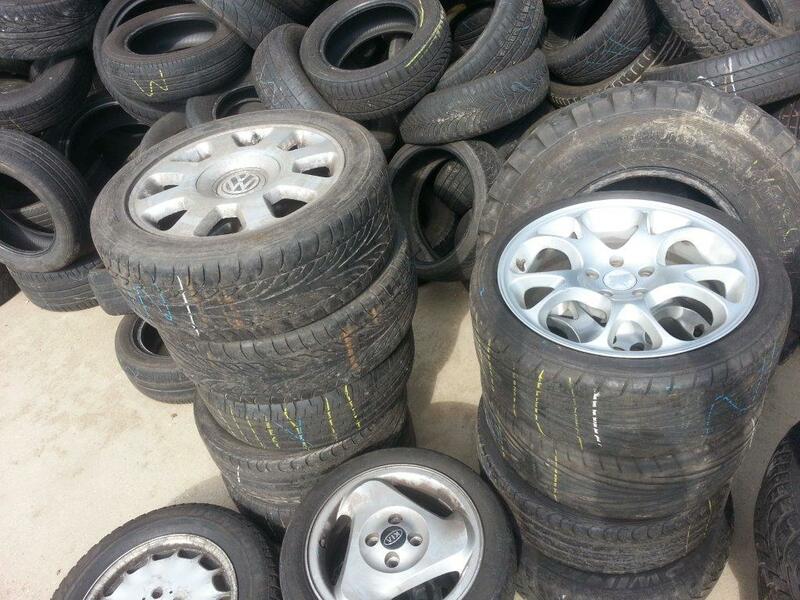 Prices EXW additionally incidental expenses such as transportation, triples, etc. 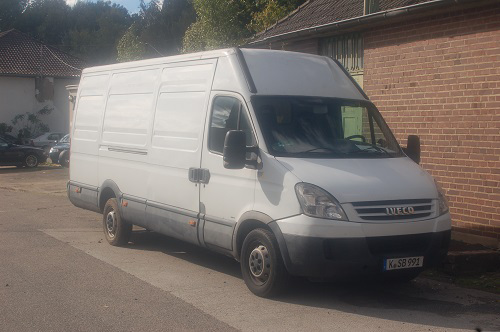 We will help you to select a suitable transport company. 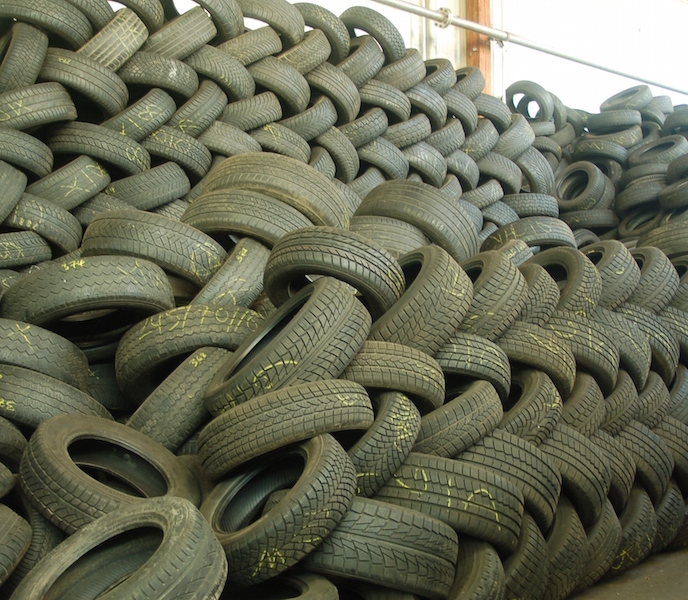 From thousands of tires, we are looking for exactly the tires that meet the quality standard of your ordered tires. For this we constantly train employees and make a strict quality control. 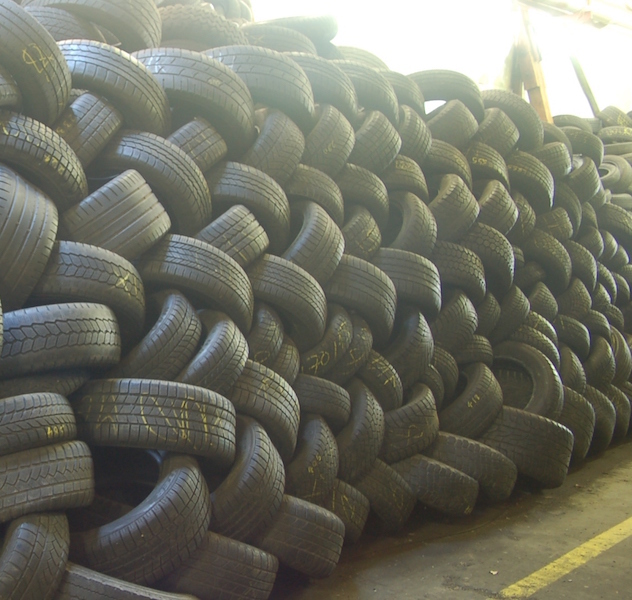 All tires are sorted by hand and checked according to exact specifications. 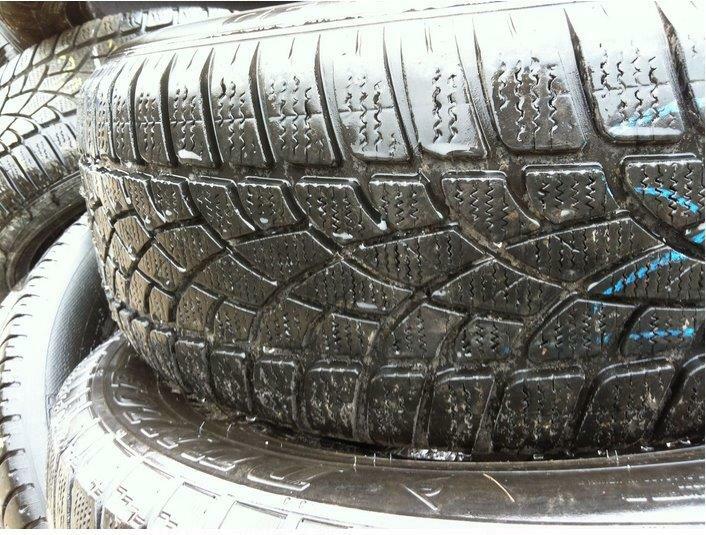 We show you today in the video how we check the tires you order from us. 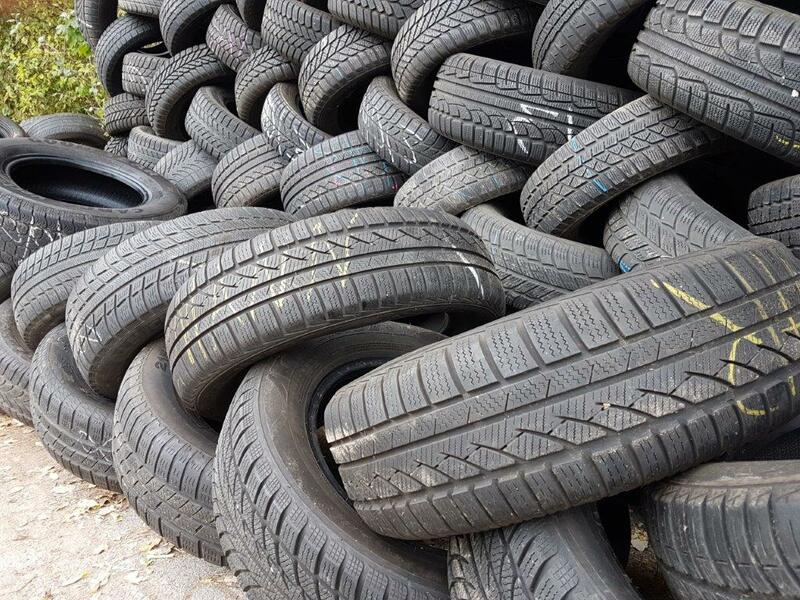 If you make a tire request until 15.06.2018 then we extend the offer for you until 22.06. 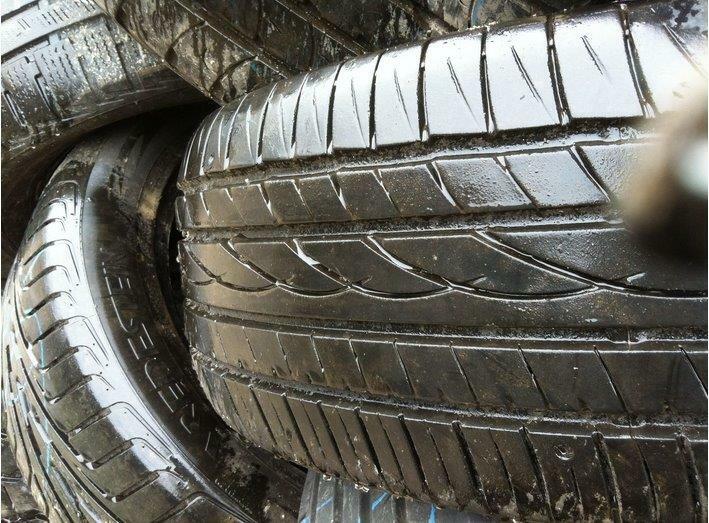 Today I introduce to you the tire mixture 3-4 mm. 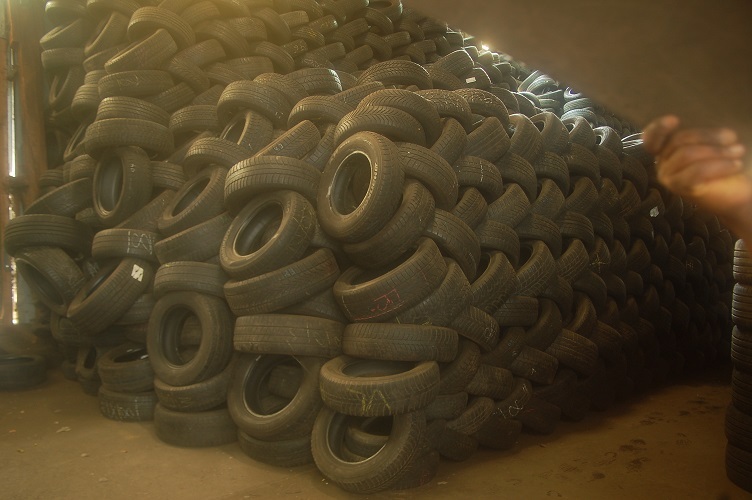 We have tested 100 tires for you to see how our quality standard is. 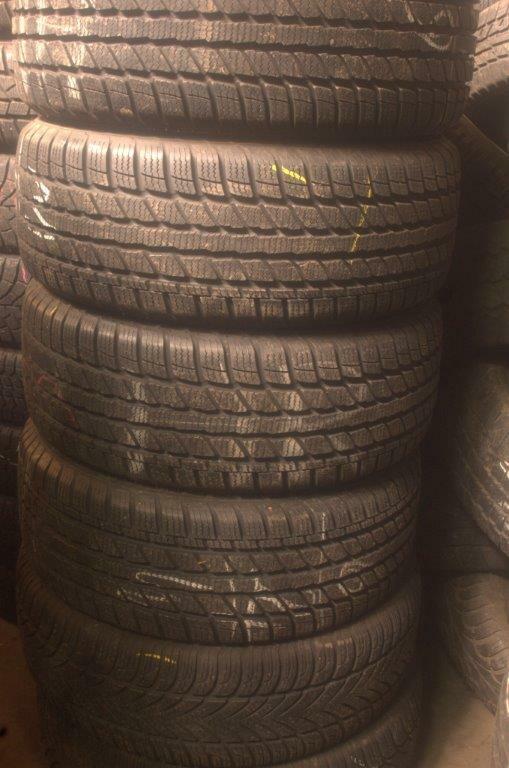 These tires have our best standard in tire inspection. As you can see in the video, we accept only minimal errors. 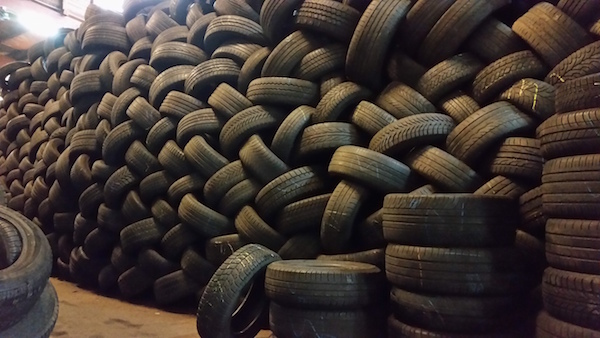 Every single tire is sorted manually. 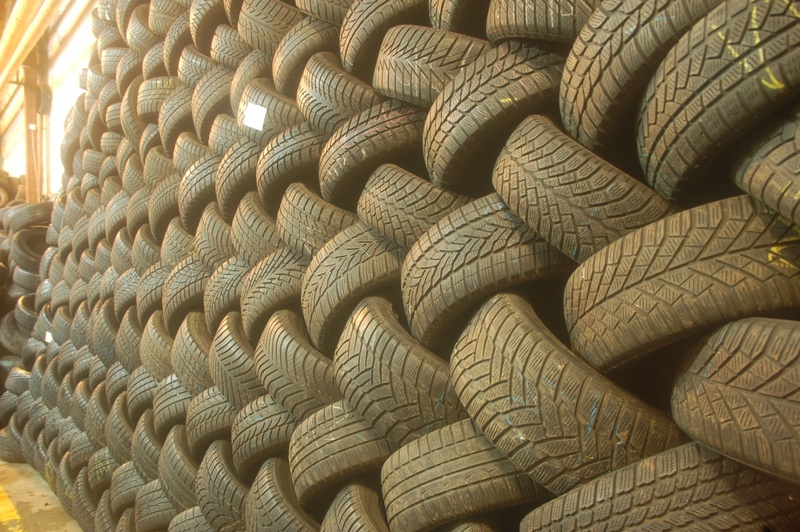 90% of the tires are absolutely faultless, beautiful and intact, i. E.
- The side wall is beautiful and intact. 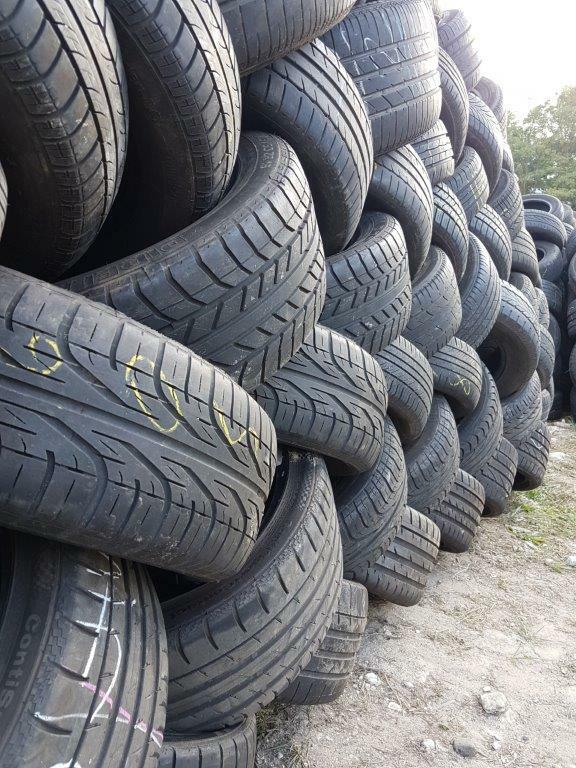 For some tires, we may allow a minimal error if we have a nice pair, the tire generally looks very good, if it is a good brand tire, etc. Even small damages are rare. Few damages we accept, you see it in the video. 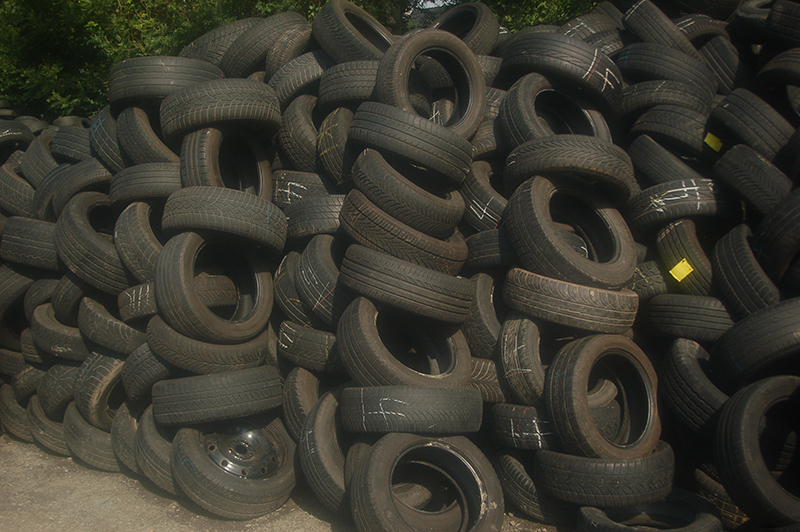 In the video we check a random tire mix for you. 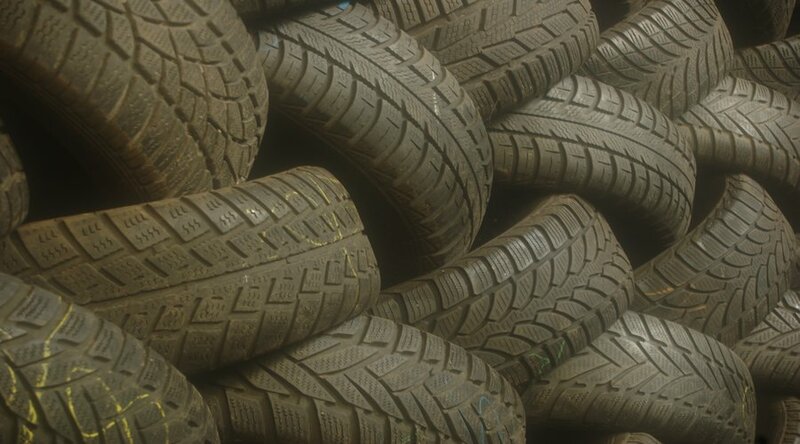 You do not like all tires in this list? 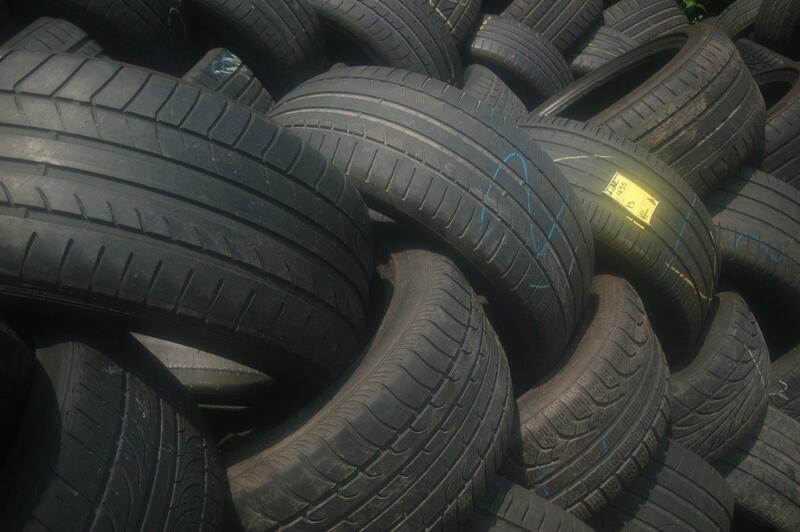 The tires are in good condition, inspected by sight according to our quality guarantee. 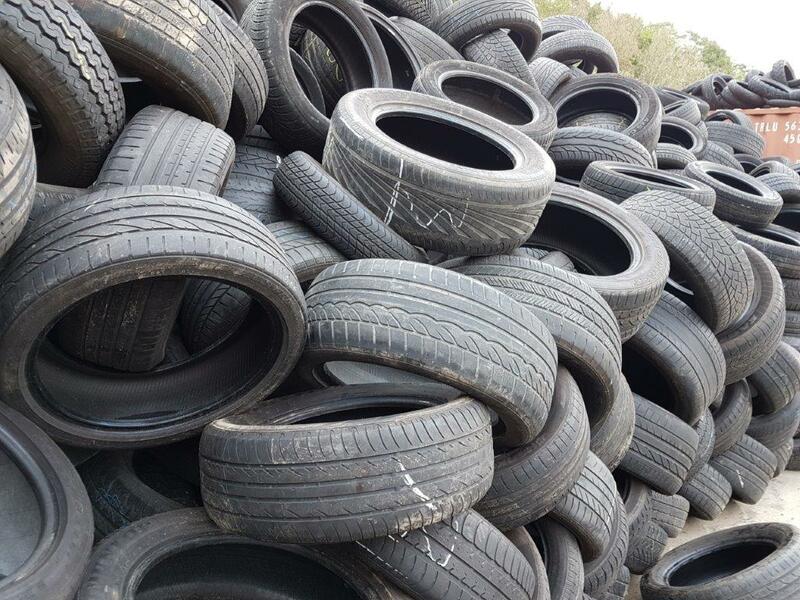 From thousands of tires, we search out exactly the tires that meet the quality standard of your ordered tires. For this we constantly train employees and make a strict quality control. 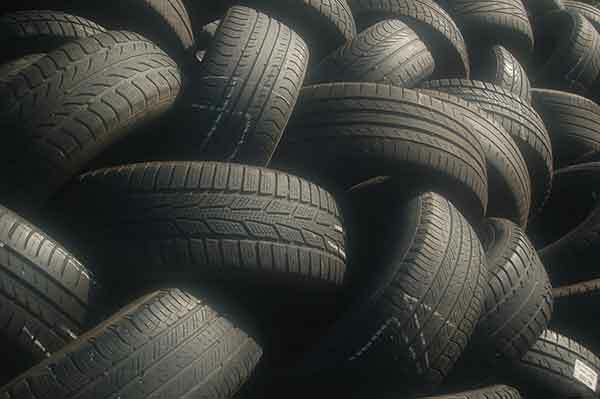 All tires are inspected manually and checked according to exact specifications. 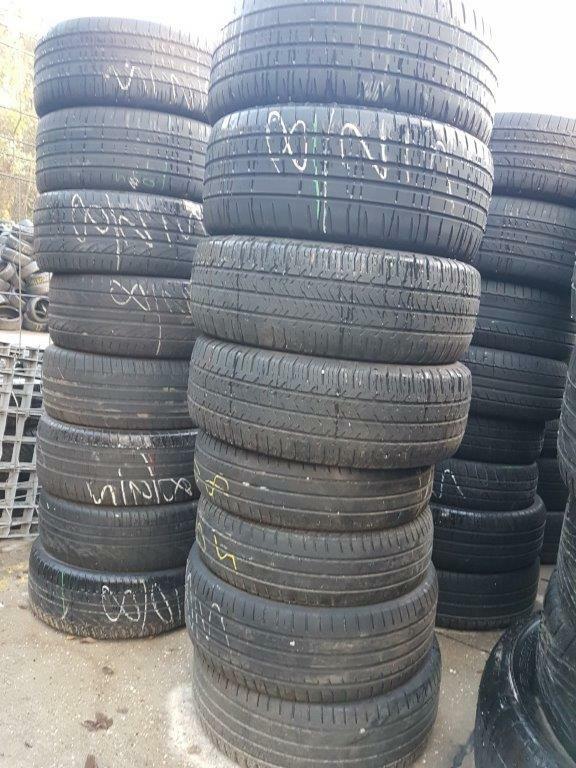 Good tires and tire sizes especially for the African and South American market. 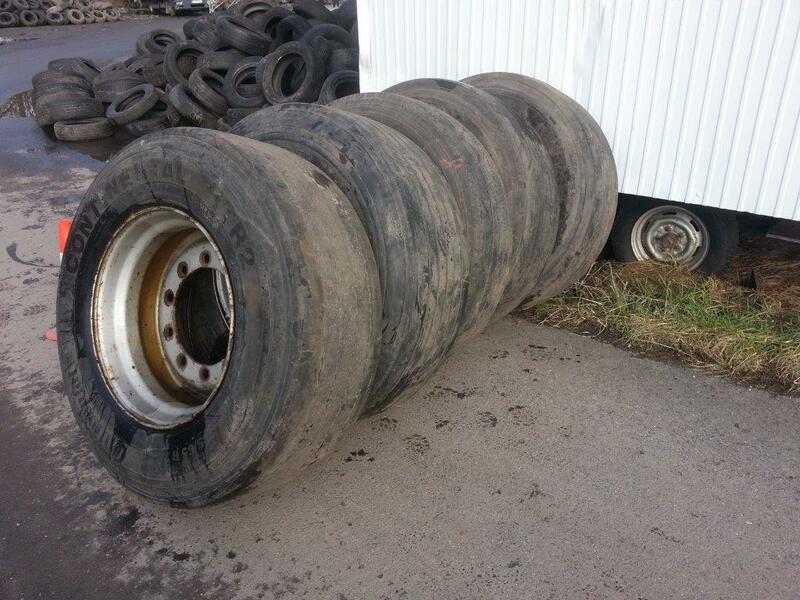 The actual tire sizes and amount may differ. 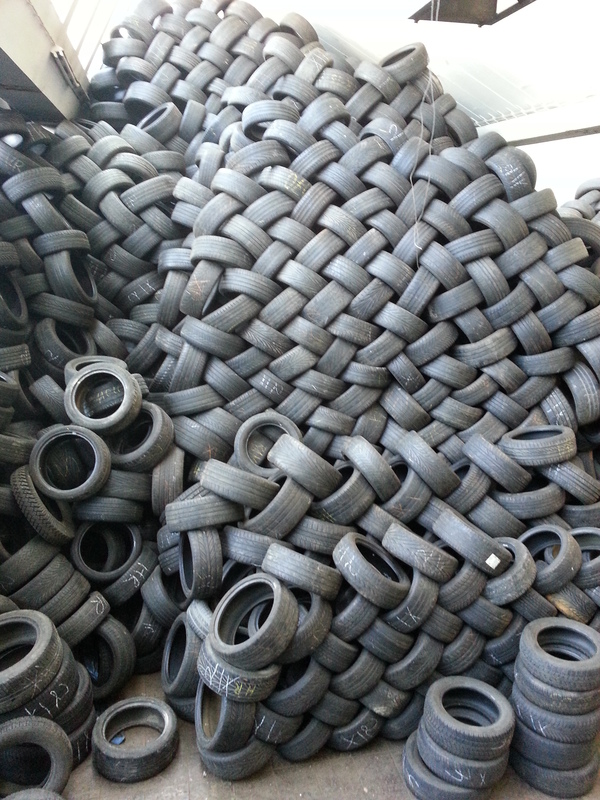 Tires can be delivered by our licensees. 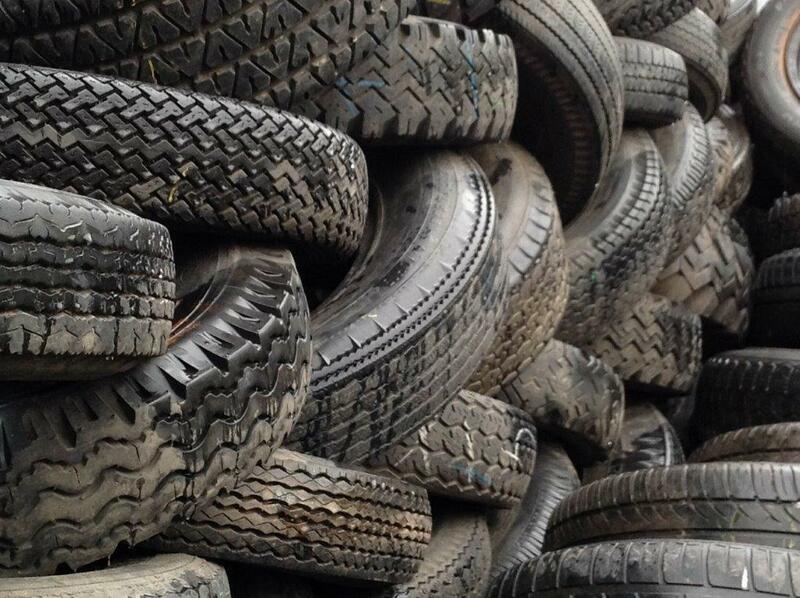 Choose the tyres that you need. You have to choose at least 80%. In this case the price is 8,50 €/unit. 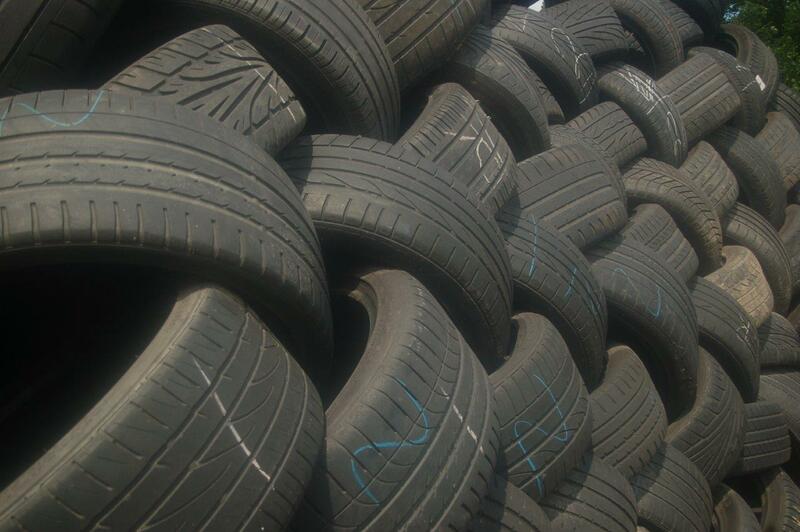 The tires are in a good condition and examined by sight according to our quality guarantee. 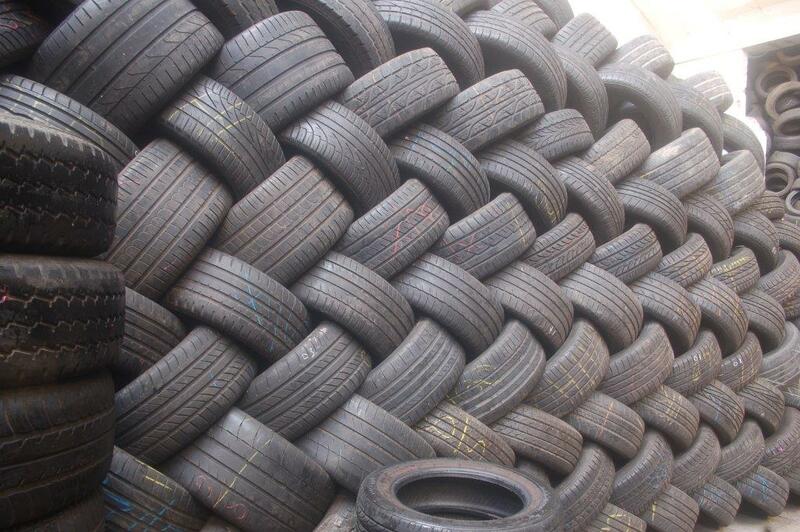 Do you want to order other tyres mixtures? 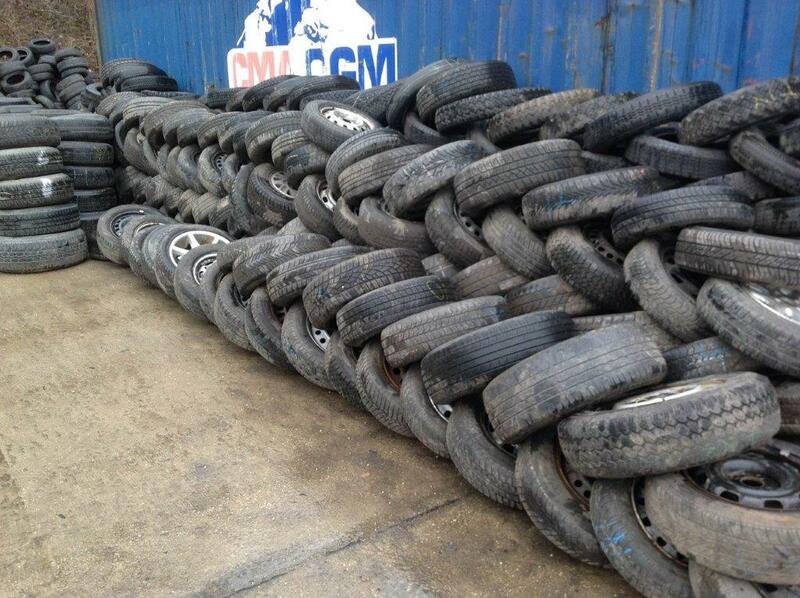 Very good tyres for the European market. In this case the price is 3,95 €/unit. This offer is valid for all orders until Dez. 12th. We revised our Export Inquiry Tool. 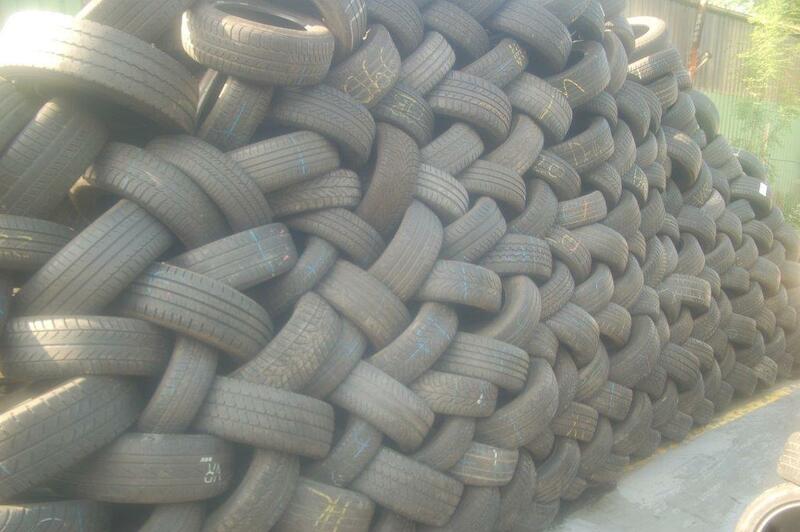 All tyres according our quality guarantee. 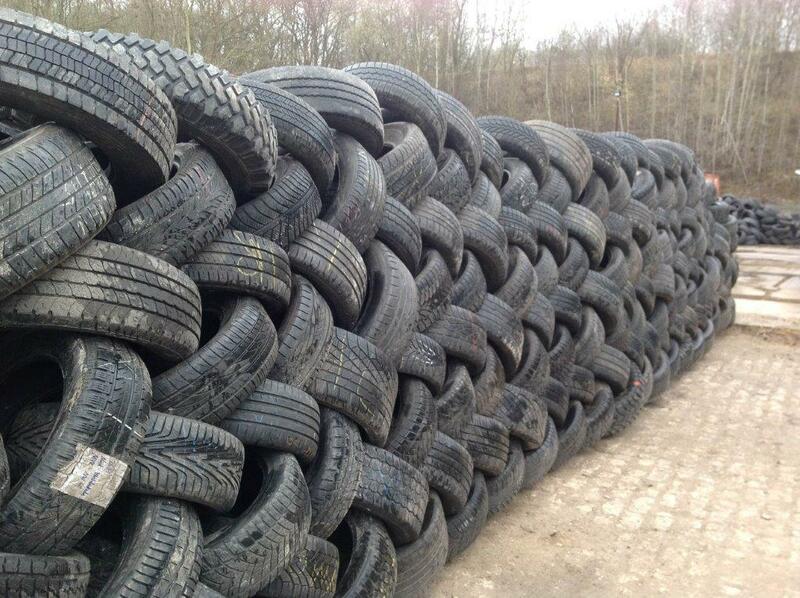 You get discount on our prices of tyres. 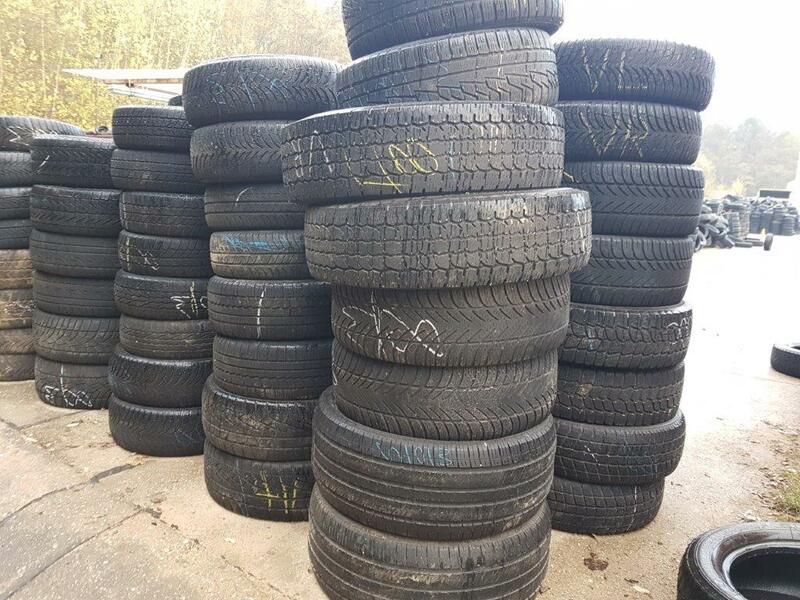 No discounts on additional costs and tyres that are orderes allready. 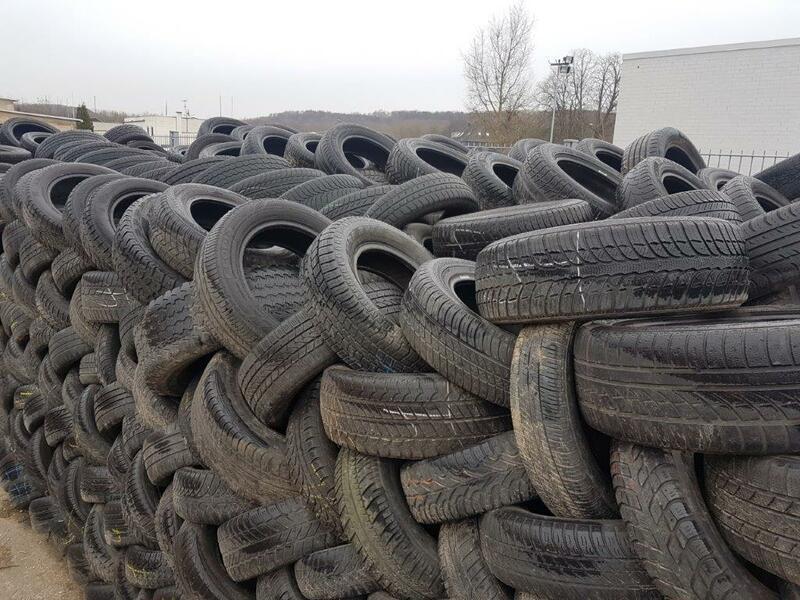 This offer is valid für all tyres which you order until Dez. 9th. 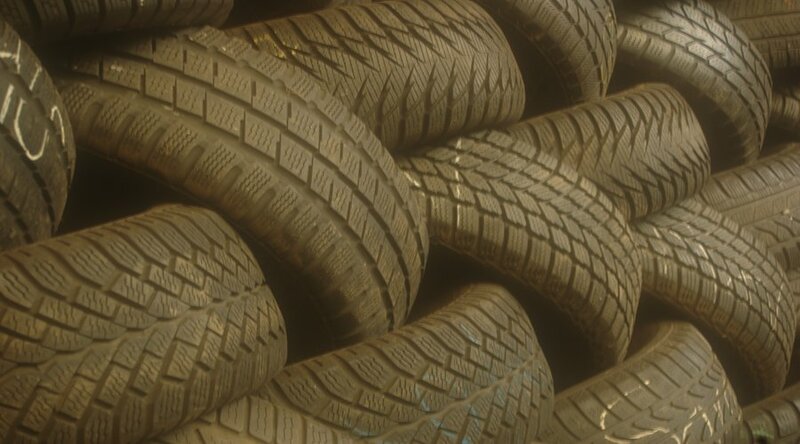 All prices are EXW plus additional costs for transport, trippeln and so on. 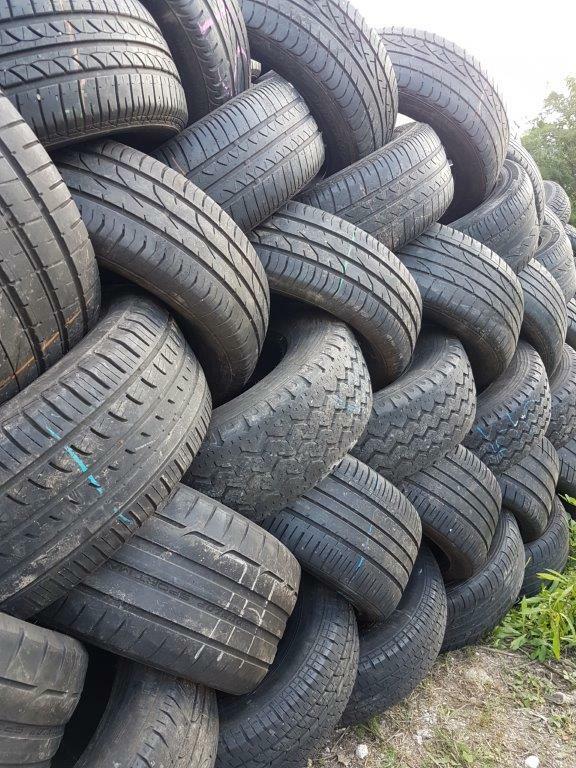 Tires can be delivered by our licensees. 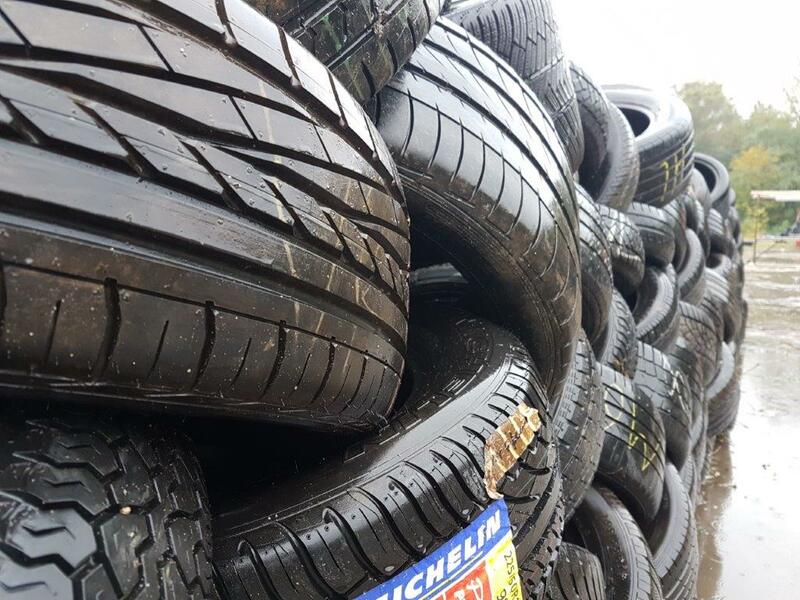 Select the tyres you need. You have to select at least 80%. In this case the price is 3,90 €/unit. 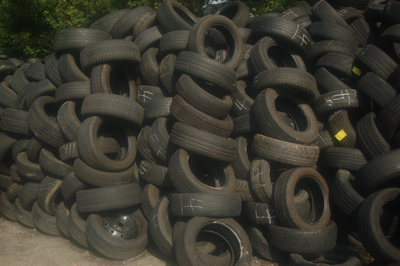 Used tyres from 4-8 mm cost starting with an order quantity of 100 units. 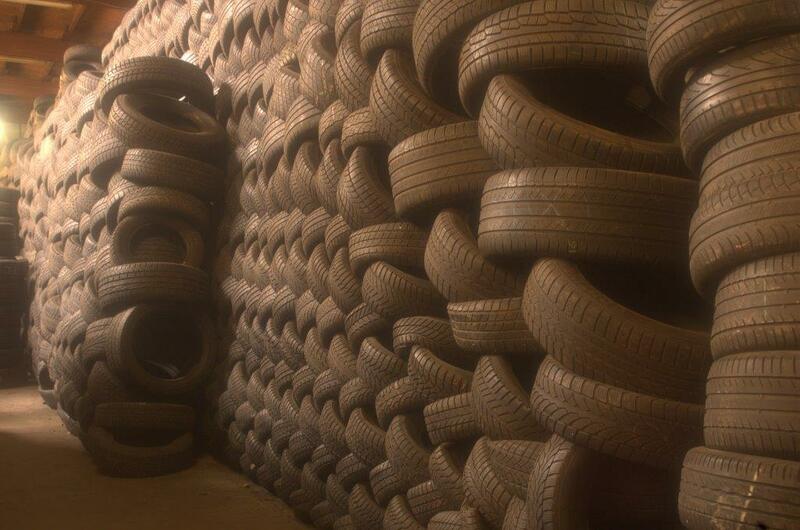 Select the tyres you need. You have to reach the minimum of 60%. In this case the price is 3,90 €/unit. Do you want to buy less? 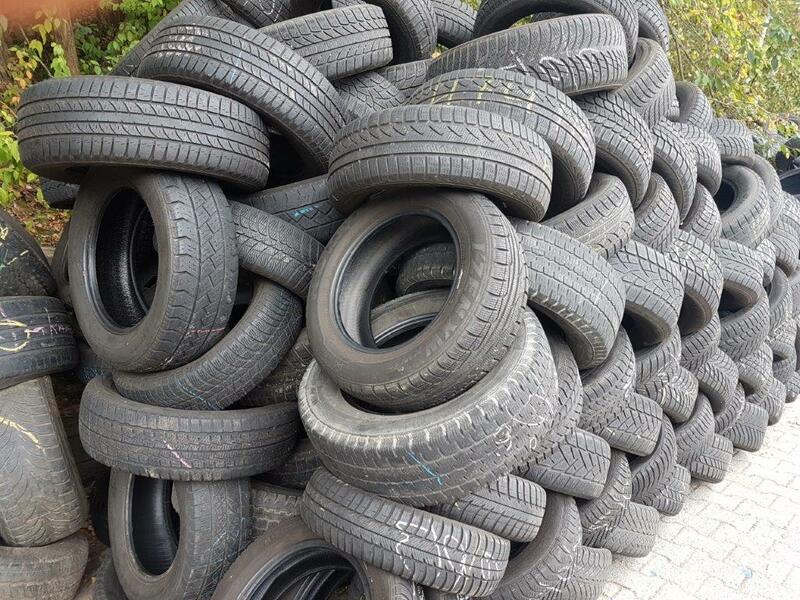 We make a price offer for you. 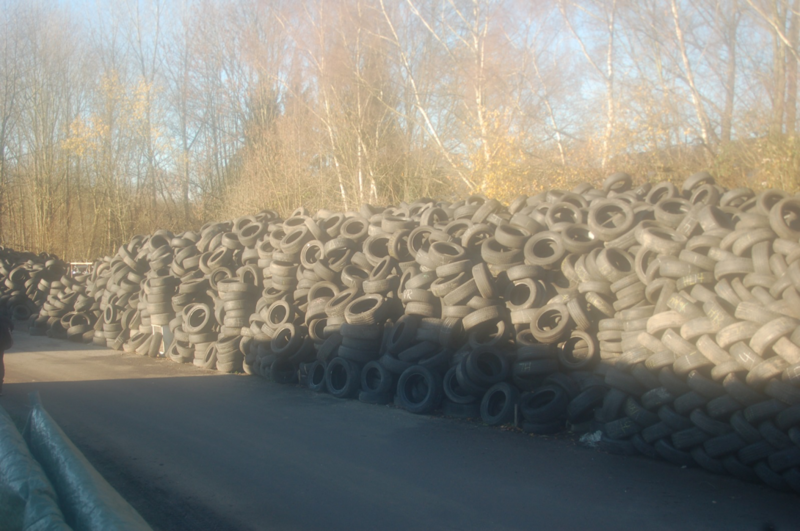 You can also buy 3000 units from each tyre mixture. We calculate the price for you. 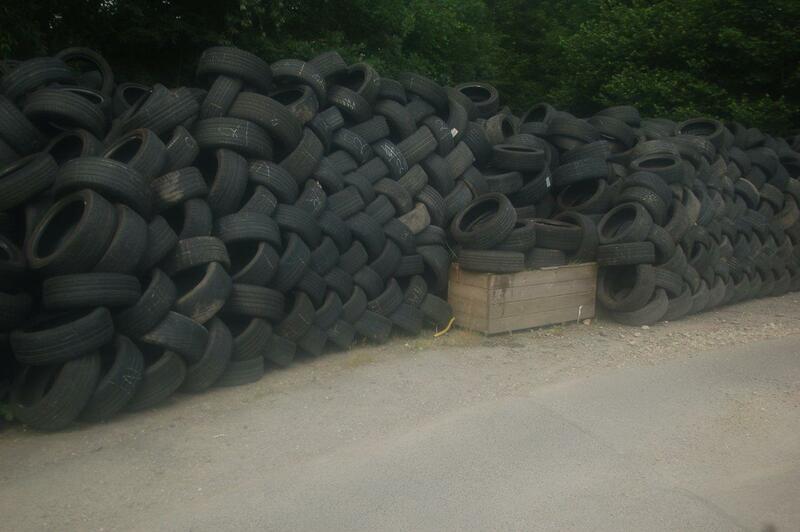 You don’t want to buy all the tyres of this offer? No problem. 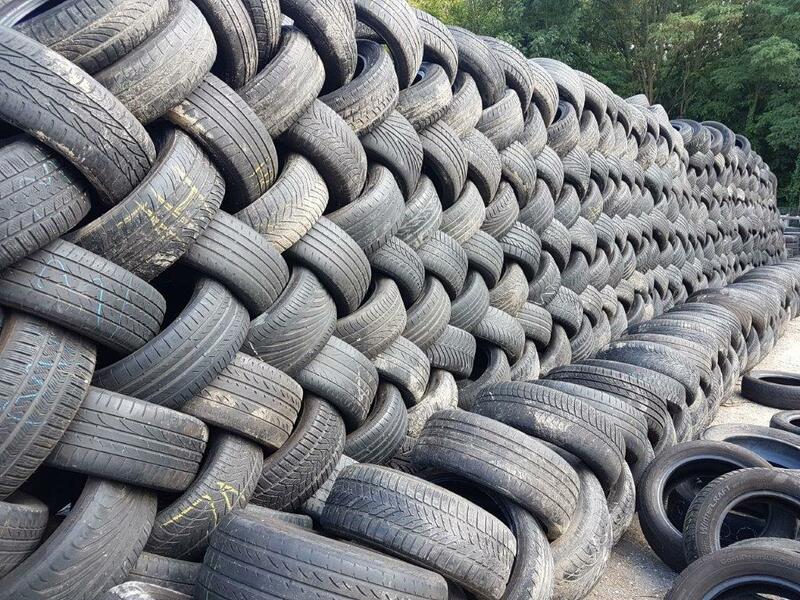 You can leave out up to 600 tyres. In this case the price is: 2,56 €/unit. We advise you with pleasure. Do you want to buy something completely different? 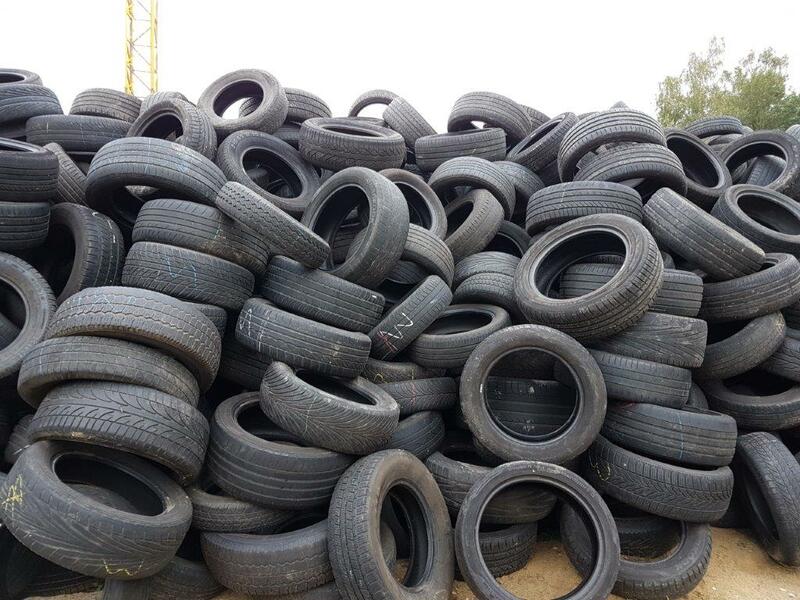 Our top qualities cost till the 31.10 also in small quantities from 100 units. 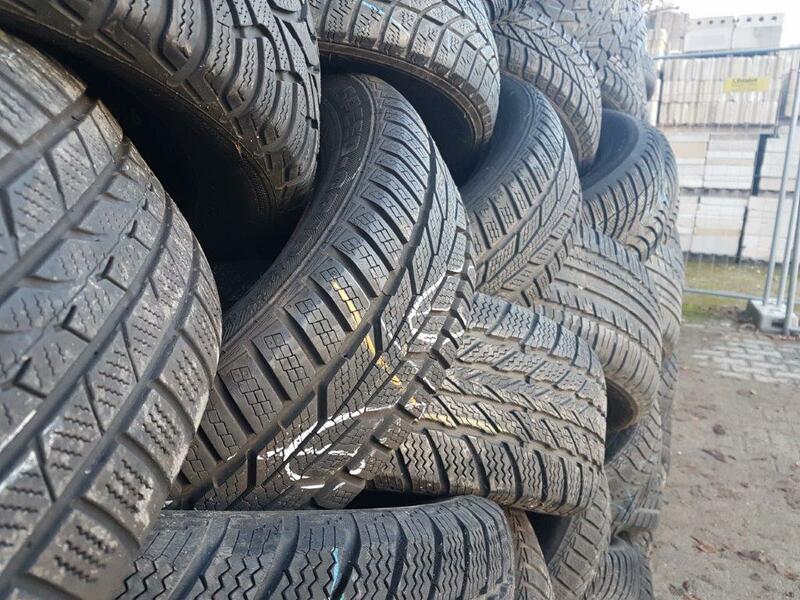 2,5-8 mm from 4.05 €/unit. 3-5 mm from 4,05 €/unit. 4-8 mm from 5,85 €/unit. 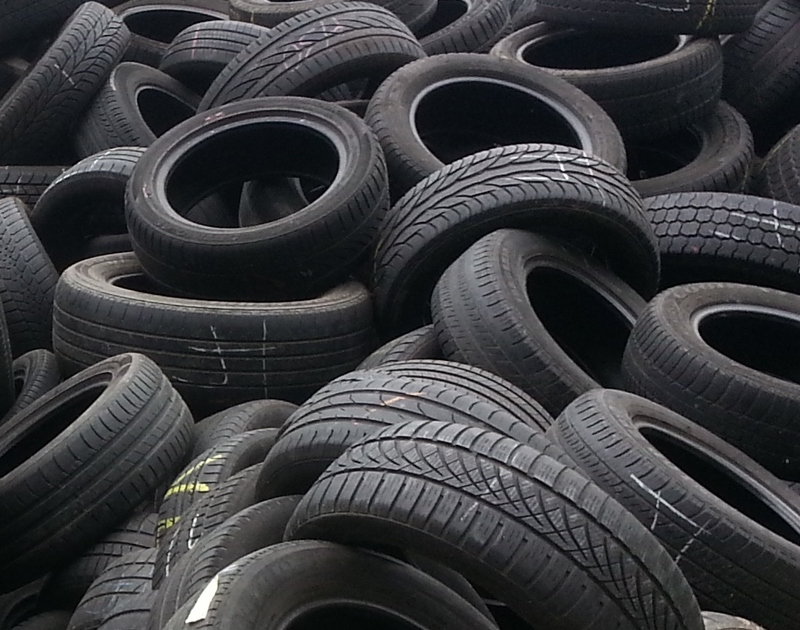 This is an offer for 2nd choice tyres for overseas markets. Price per container 3200 units. 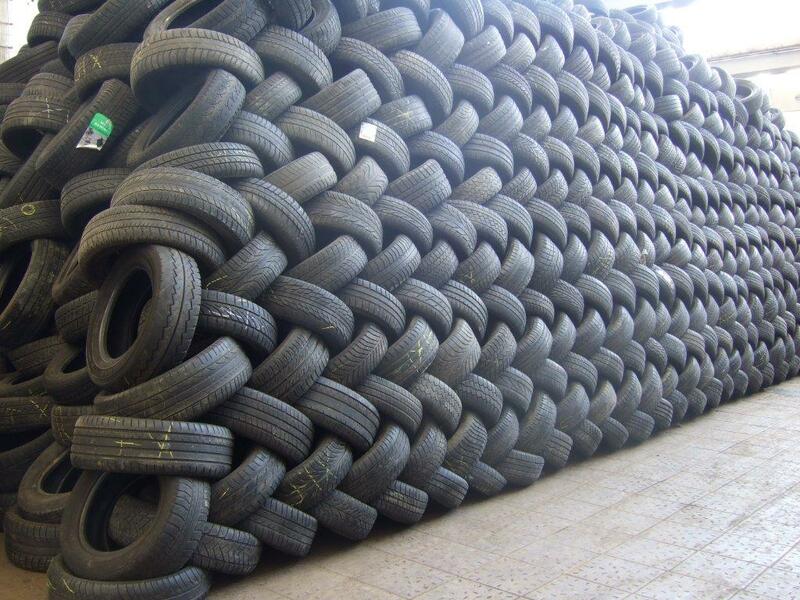 Do you want to order a different tyre mixture? 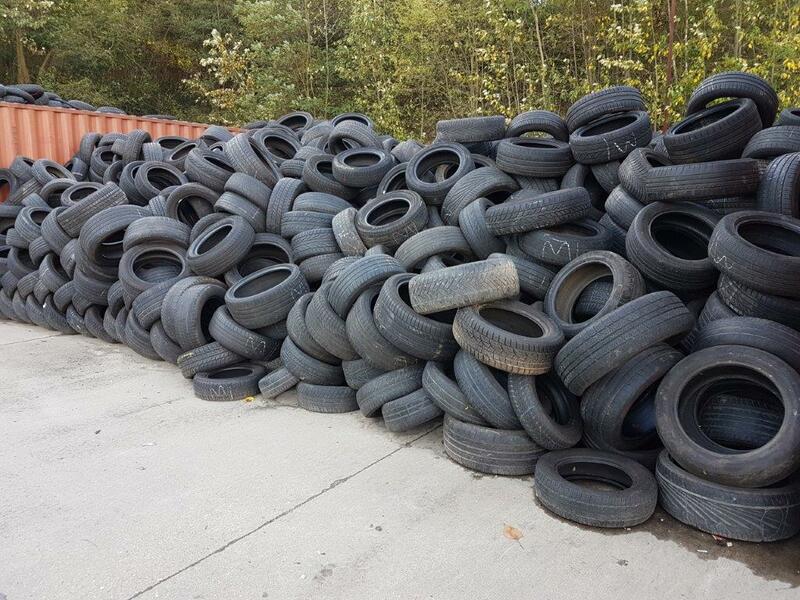 We have a total of 3 offers. Prices EXW excluding incidental expenses such as transportation, triples, etc. This is an example. 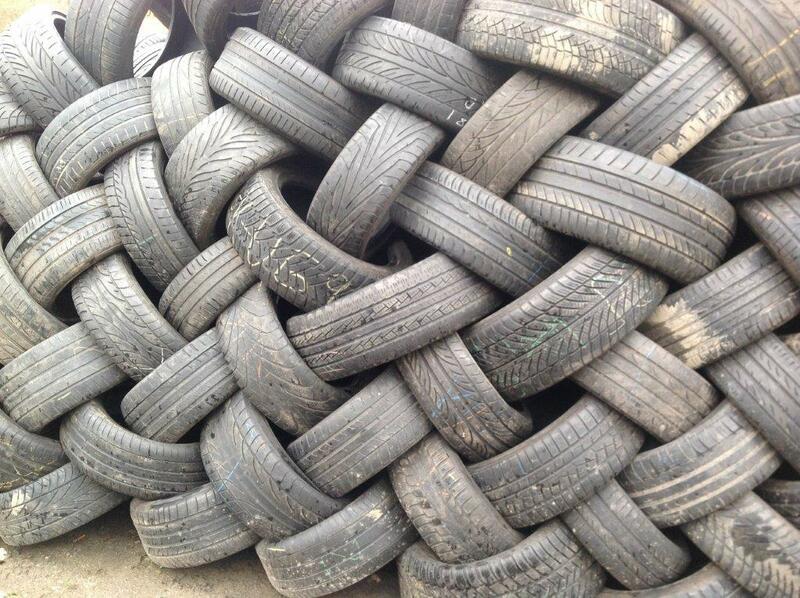 The actual number of pieces may be slightly different. Do you want to buy something else? 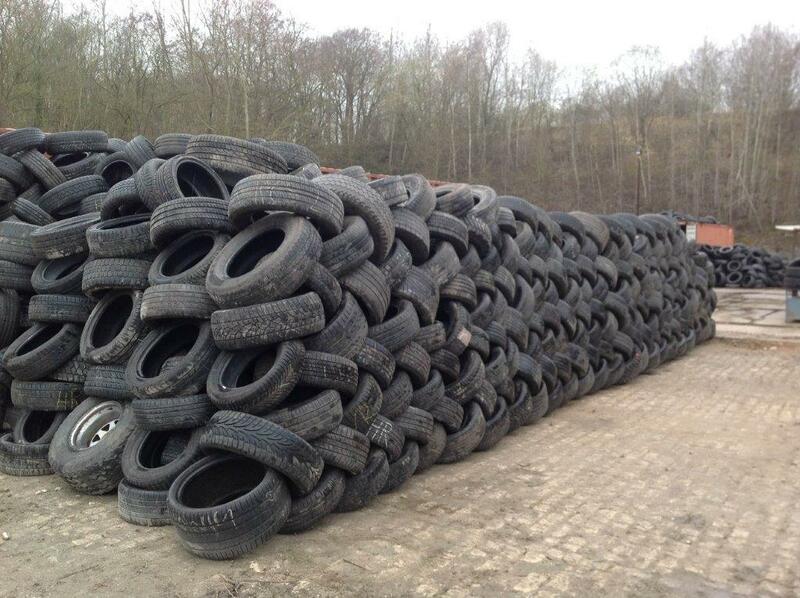 You can order small quantities till the 31.10. 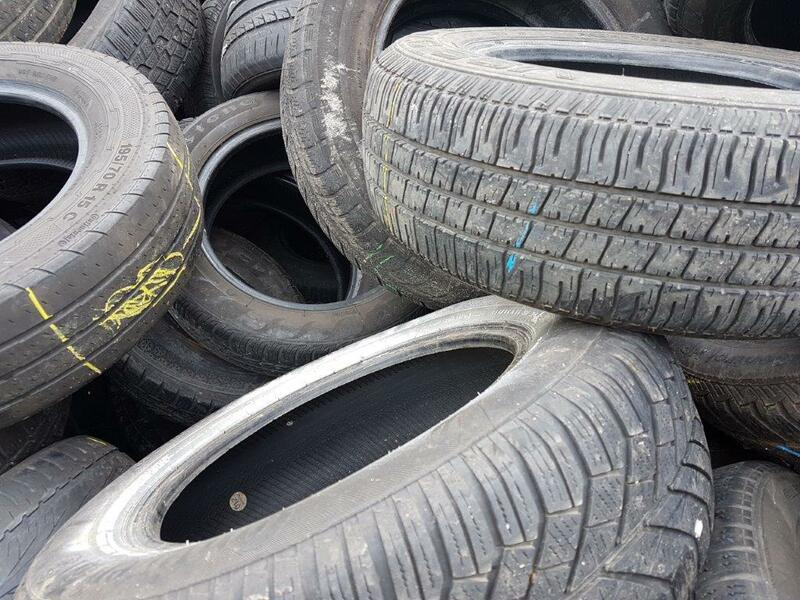 You get 10 % discount on all used tyres that you order now and that we deliver between October and December. 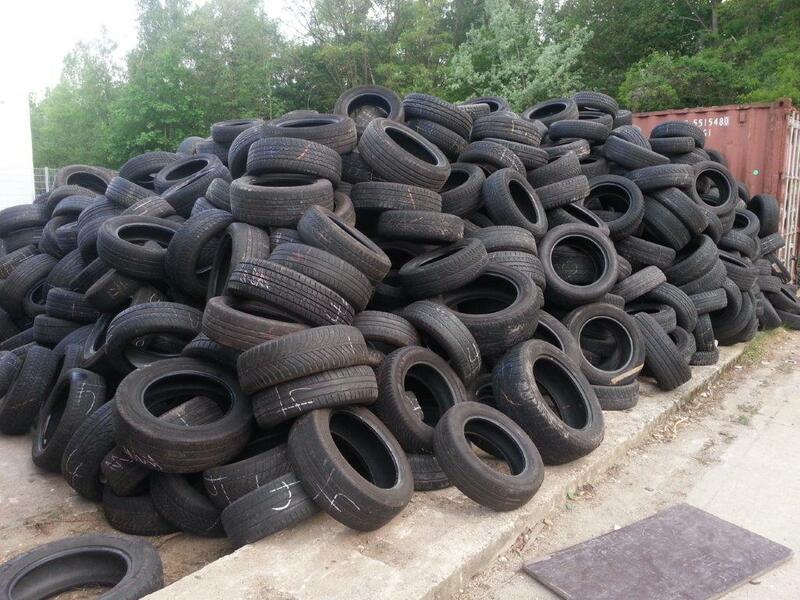 The offer is valid for the following tyres mixtures. 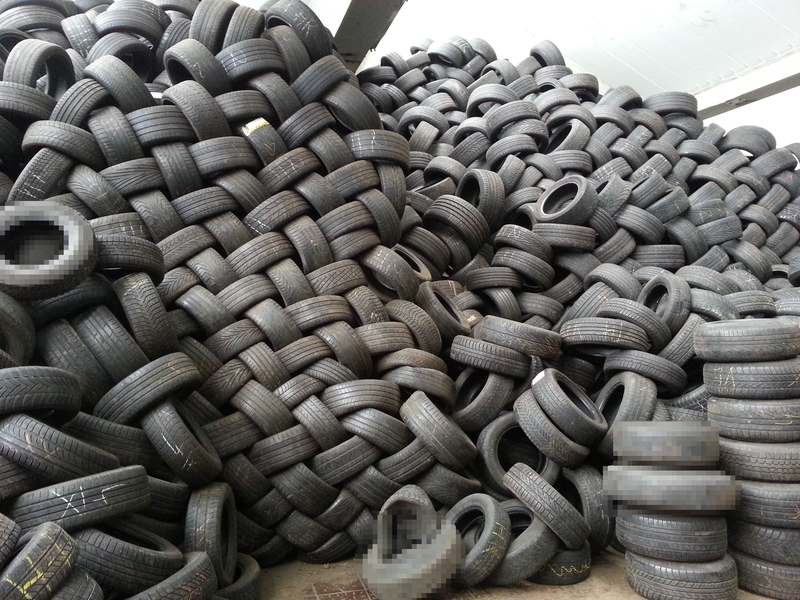 The prices are examples for quantities from 1000 units. 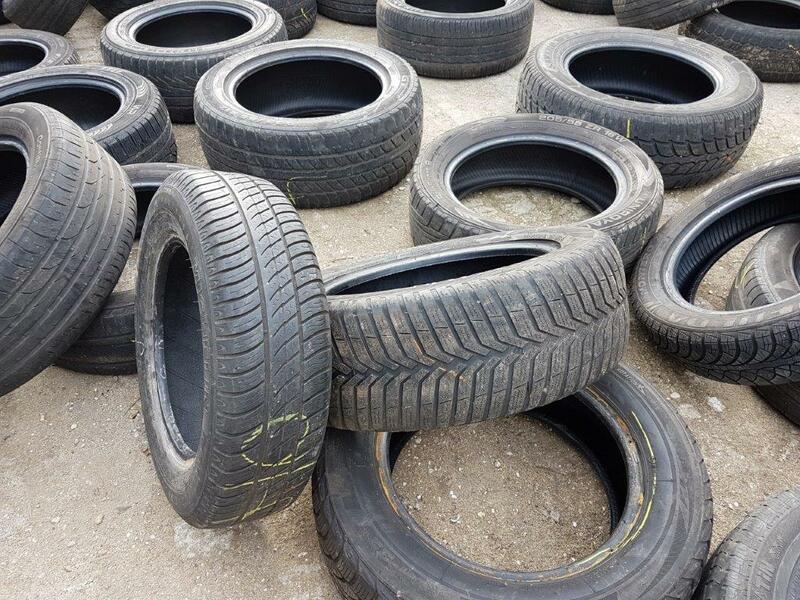 The tyres are in good condition, visually inspected according our guarantee of quality. 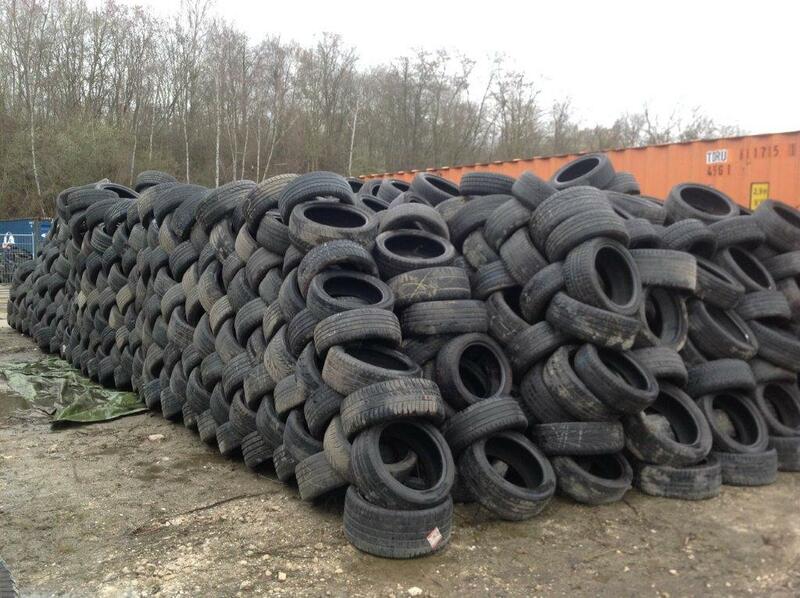 The discounts are valid on the normal price of the tyres. 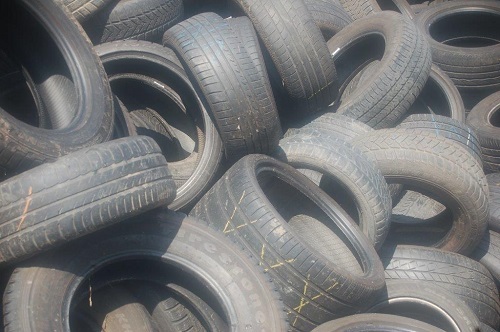 There is no discounts on additional services, vehicles, already ordered merchandise etc. 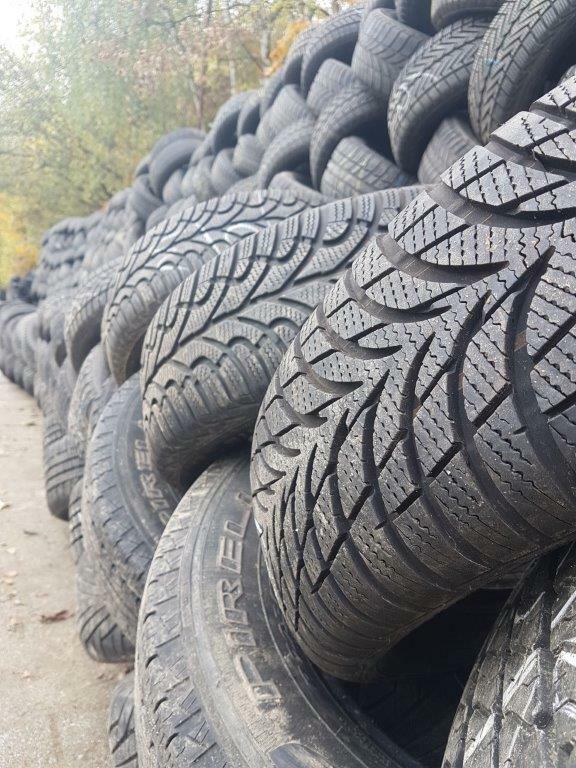 The offer is valid for tyres you order now and that will be delivered between October and December. 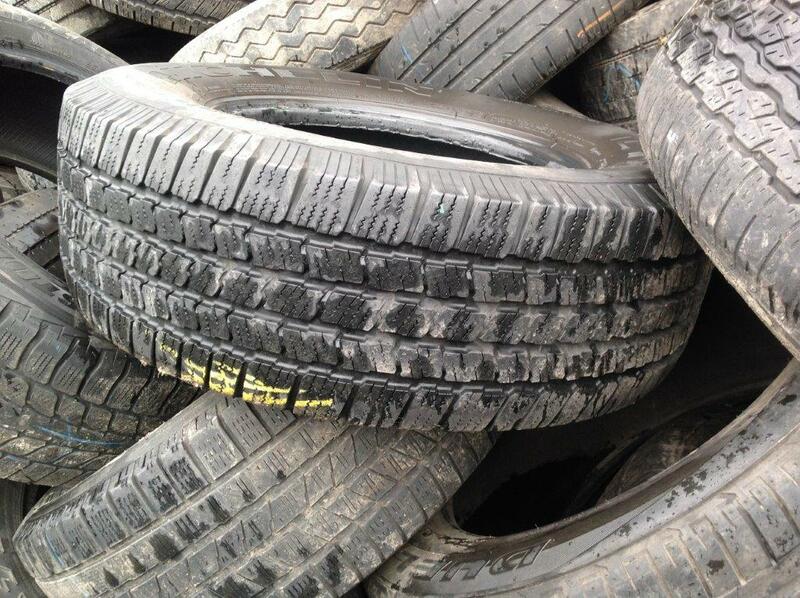 All prices are EXW excluding additional costs like transport, trippling etc. 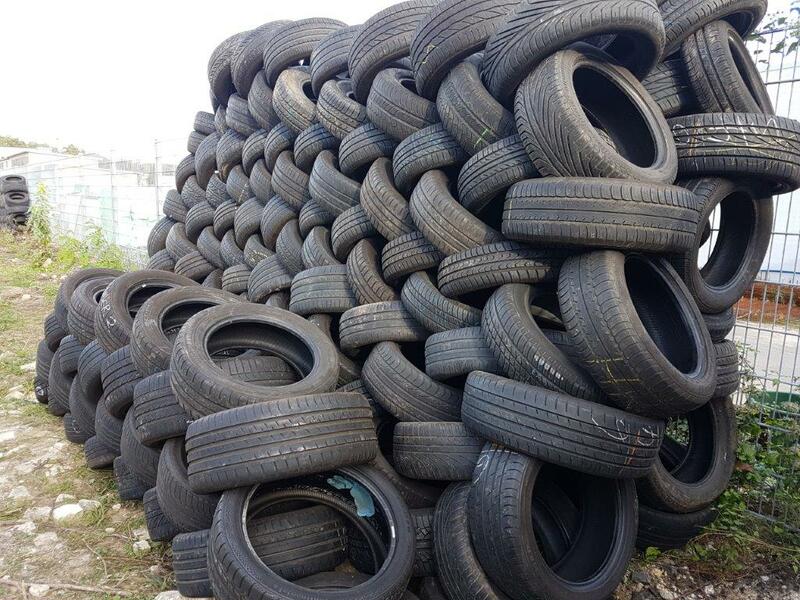 You can reserve the tyres with a 50% pay down. 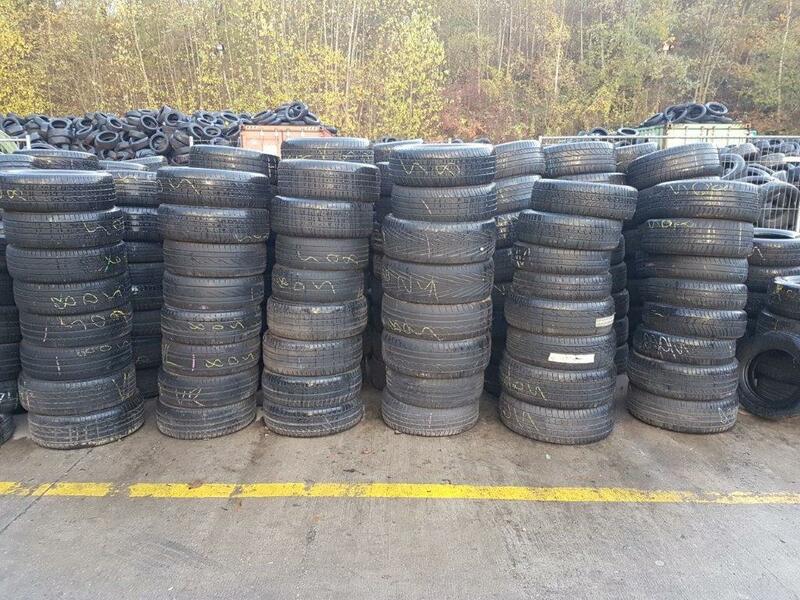 As a trial offer we offer the already sold special offer again with similar tyre sizes and quantities. The images are only examples All Prices are EXW and without additionally incidental expenses like Transport, Tripples, etc. 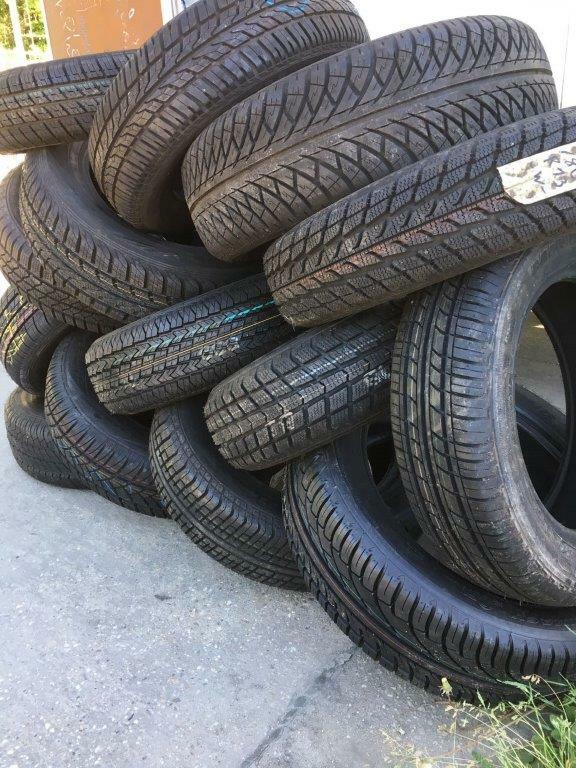 The actual tire sizes and amount may differ. 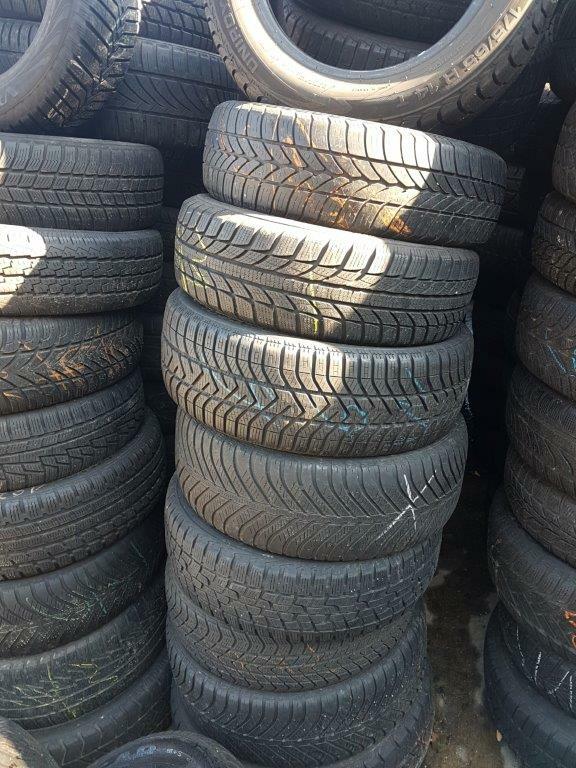 The tires are in a good condition and examined by sight according to our quality guarantee..
All tires are in a good condition inspected by sight according our quality warranty. 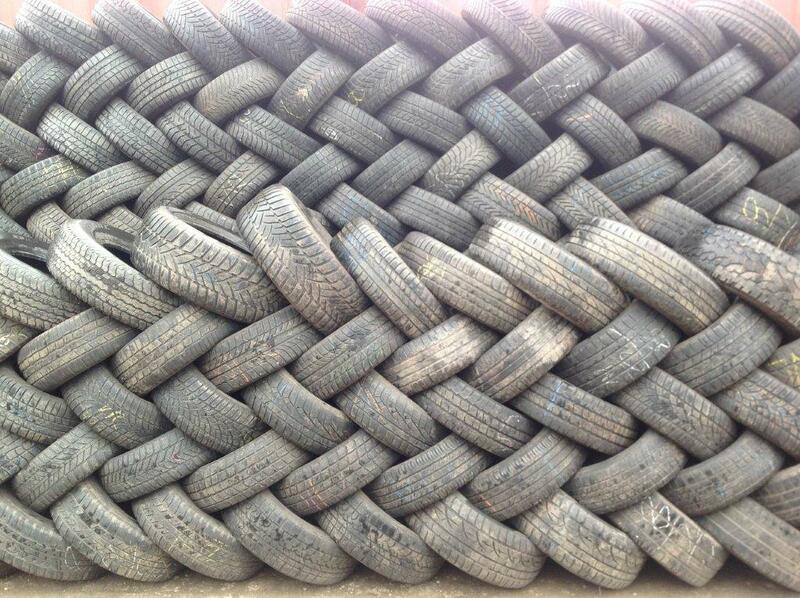 You like to order your own tire mixture? 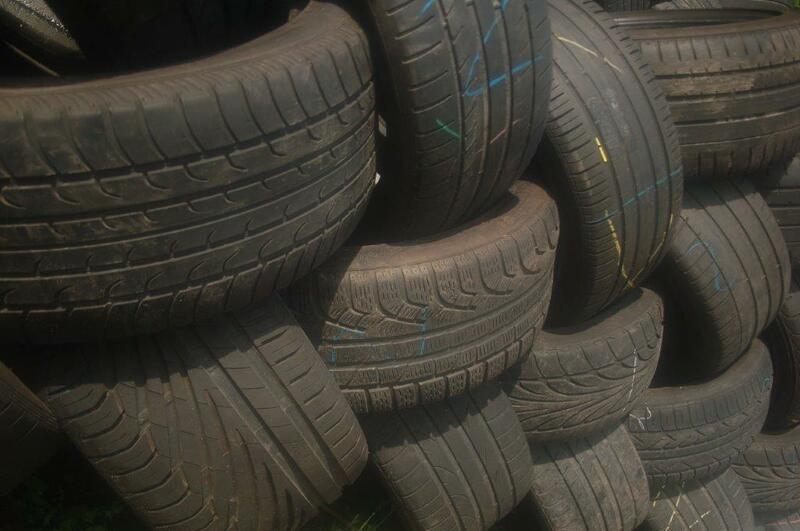 The tyres are in a good condition, tested by sight according to our quality guarantee. 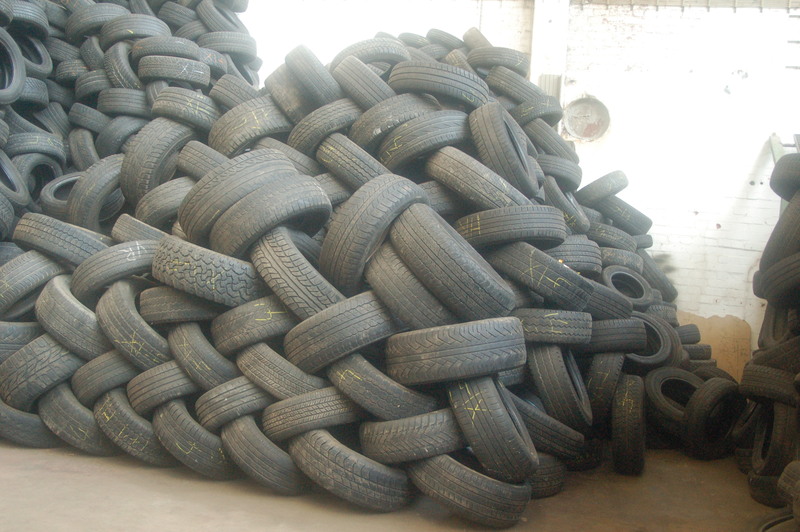 Here you can start the Export inquiry. Here you can find our other offers. These pictures are examples. 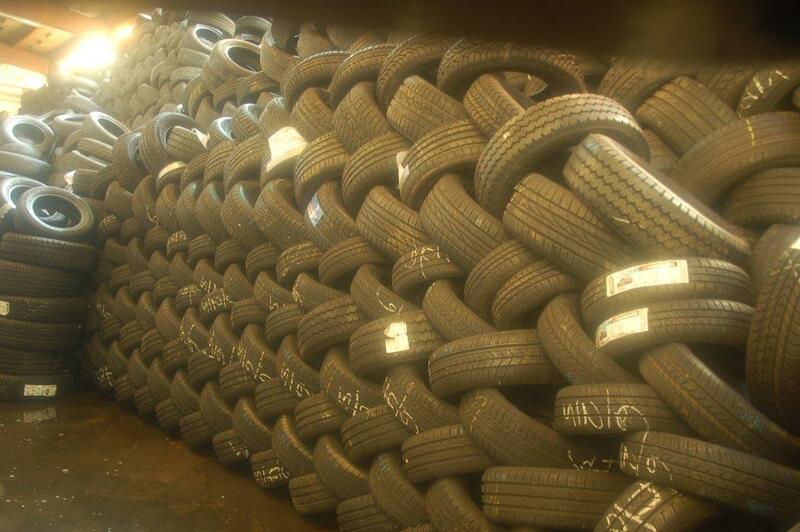 These tyres cannot be trippled. 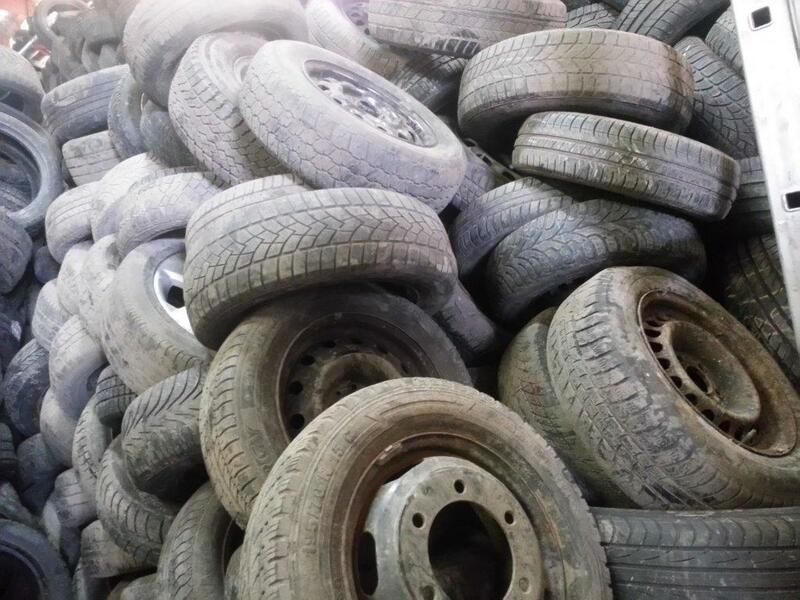 The tires are in a good condition, tested by sight according to our quality guarantee. 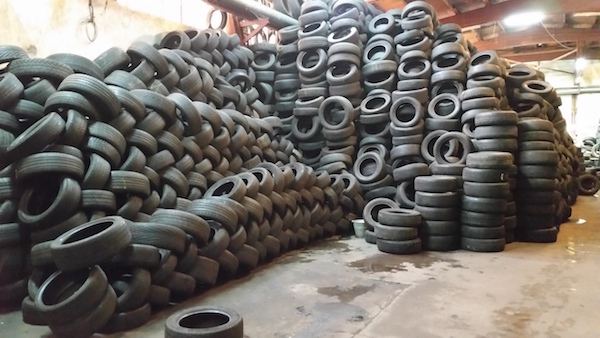 We will move and therefore we are cleaning our warehouse. 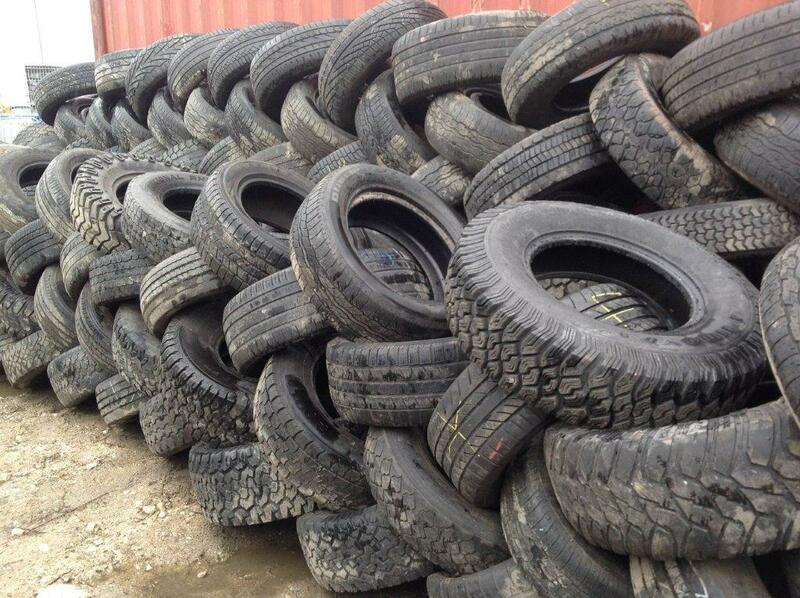 We will give you 30% discount on all tyres that you load until the 31st January. The discount is only applicable on the standard price. There is no discount on extra services, vehicles, already ordered merchandise, etc. 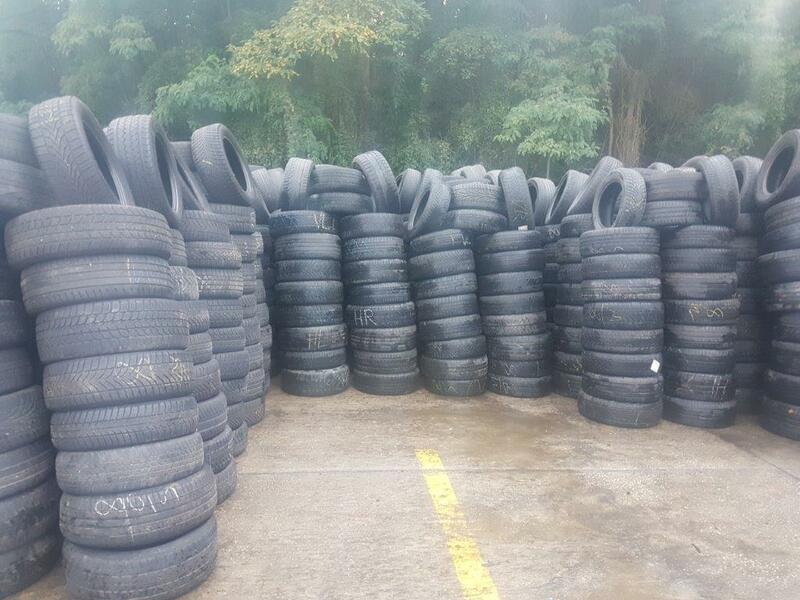 If the tyres will not be loaded until the 31st January, the price will be automatically calculated as a standard price. The special offer is only valid until we have stock. 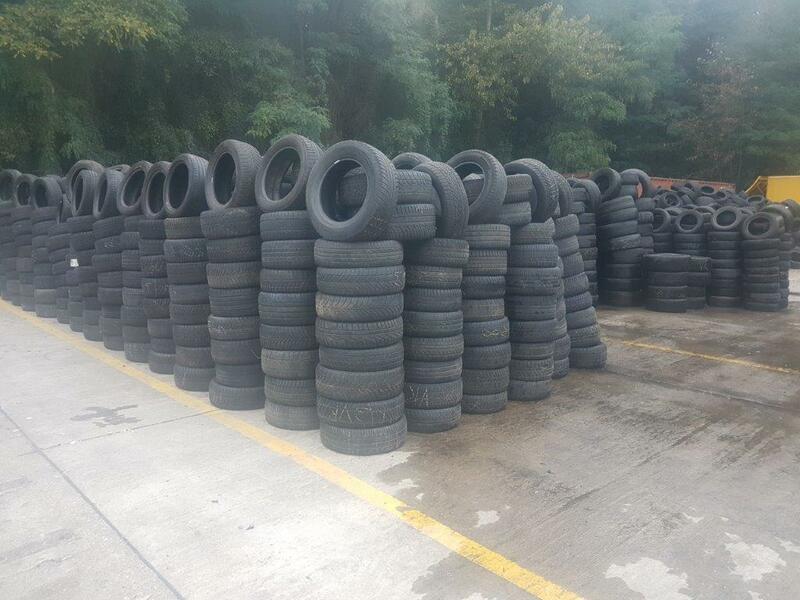 That means, until we have the tyres sold out in our warehouse. All prices are EXW and don´t include additionally incidental expenses such as transportation, tripling, etc. 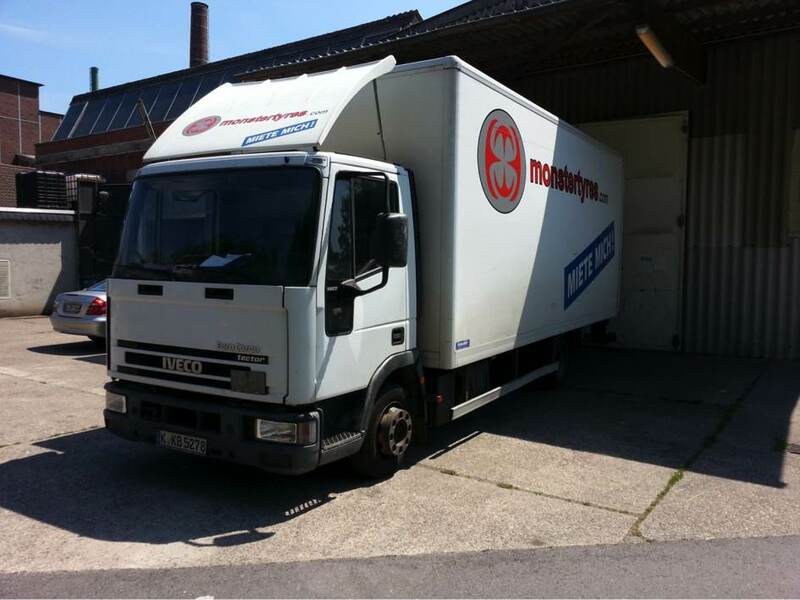 We will move and therefore we are cleaning our warehouse. 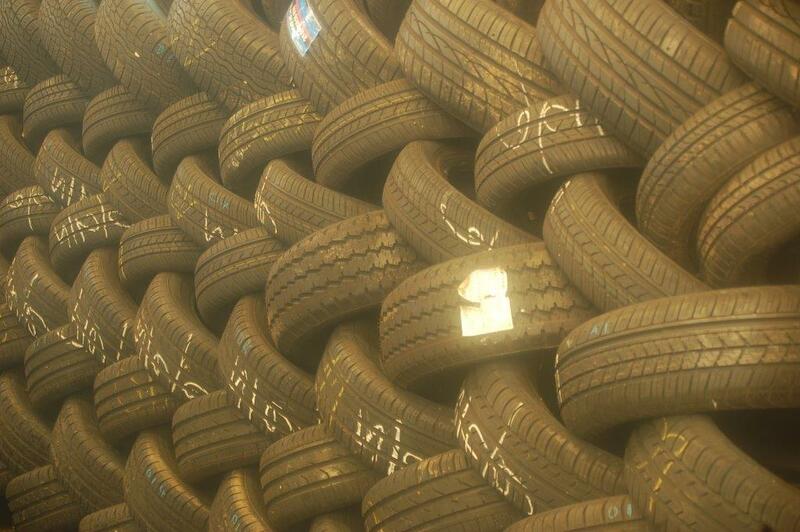 We will give you 30% discount on all tyres that you load until the 31st January. We improved our Export Inquiry system for you. Try it and find out, how easy it is! It is completely non-binding. These prices are examples for mixtures over 1000 units. 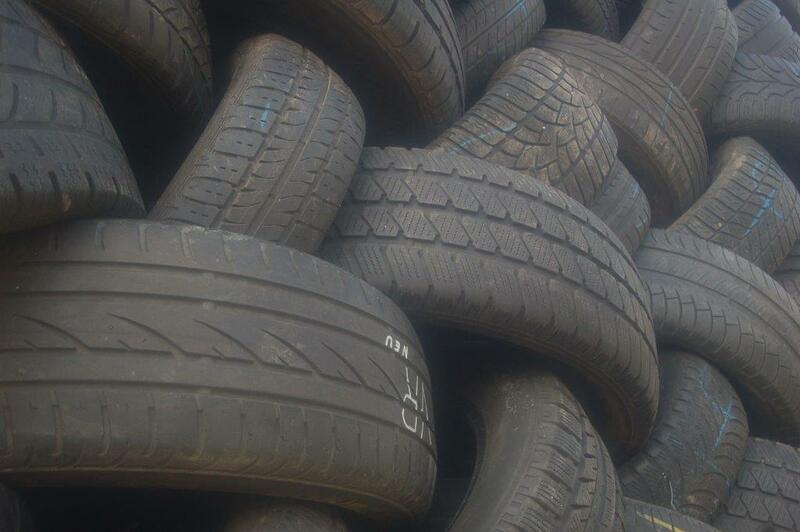 All tyres correspond to our Quality Warranty. 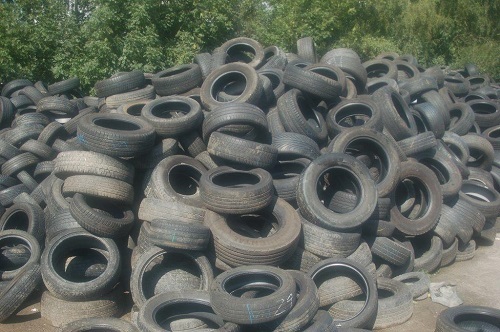 The discount is only applicable on the standard price (80%). There is no discount on extra services, vehicles, already ordered merchandise, etc. 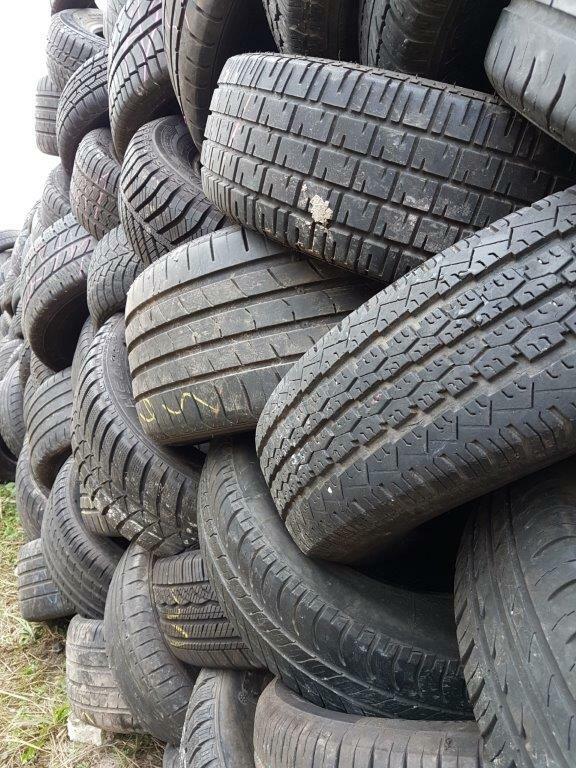 If the tyres will not be loaded until the 31st January, the price will be automatically calculated as a standard price (80%). 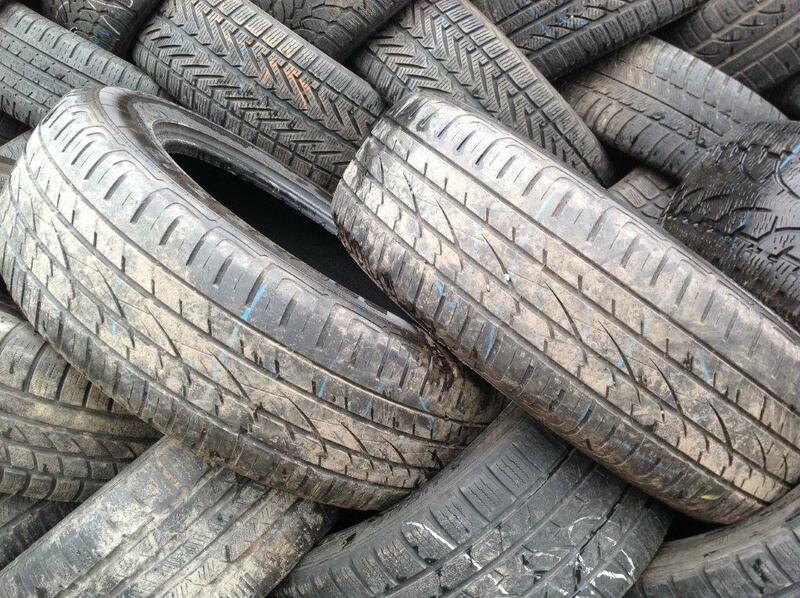 The special offer is only valid until we have stock, that means, until we have the tyres in our warehouse. All prices are EXW and don´t include additionally incidental expenses such as transportation, tripling, etc. 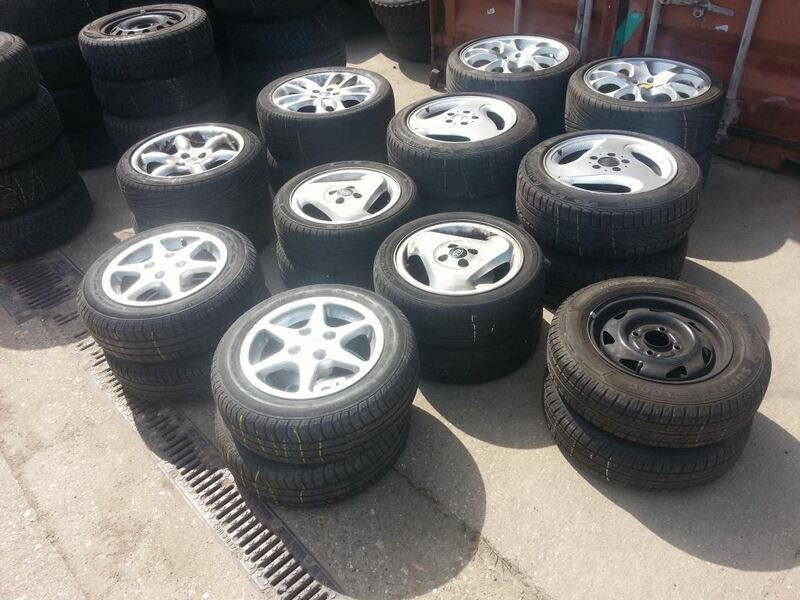 Prices EXW plus incidental expenses such as transportation, triples, etc. 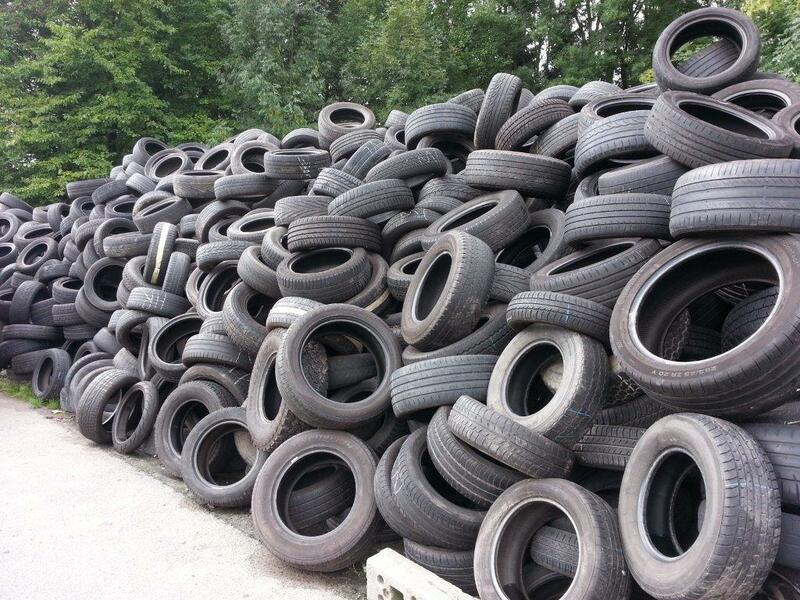 This here is a 2nd choice used tires offer. It is only suitable for overseas markets. 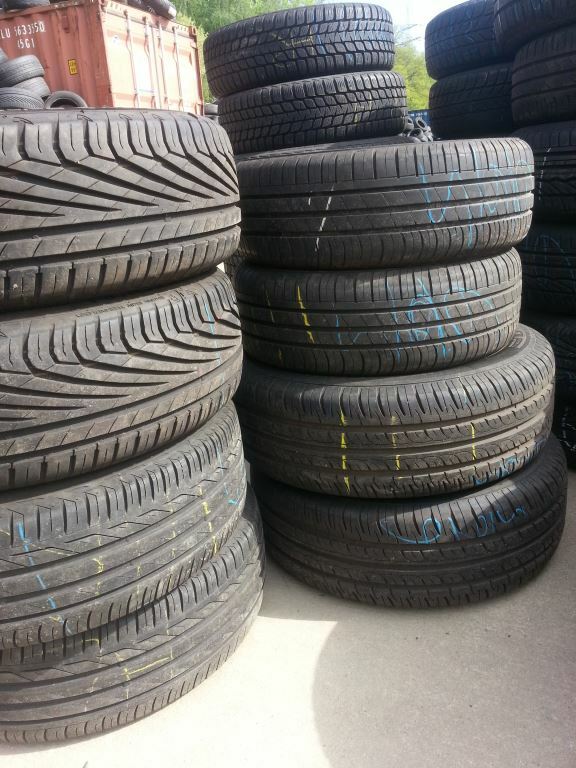 The tires are in a good, considerate tested state in accordance with our quality Guarantee . 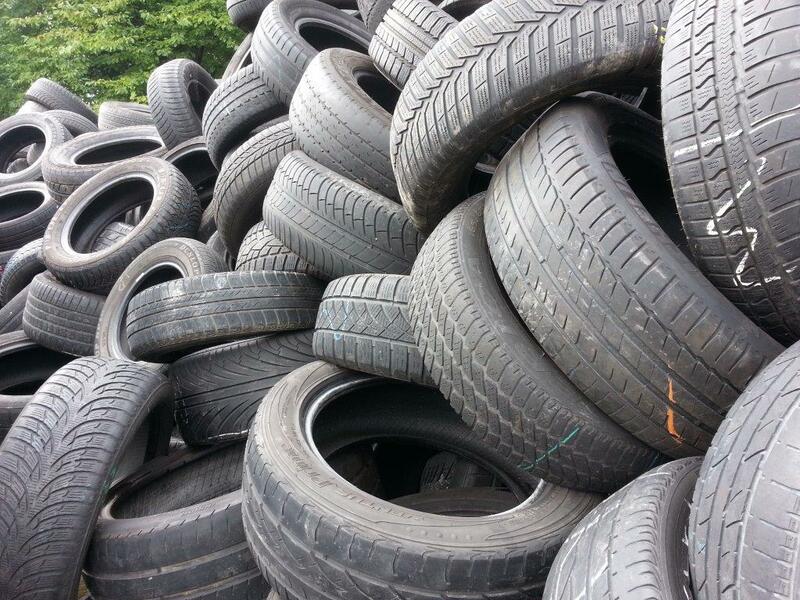 The tires are in a good, considerate tested state according to our quality guarantee. 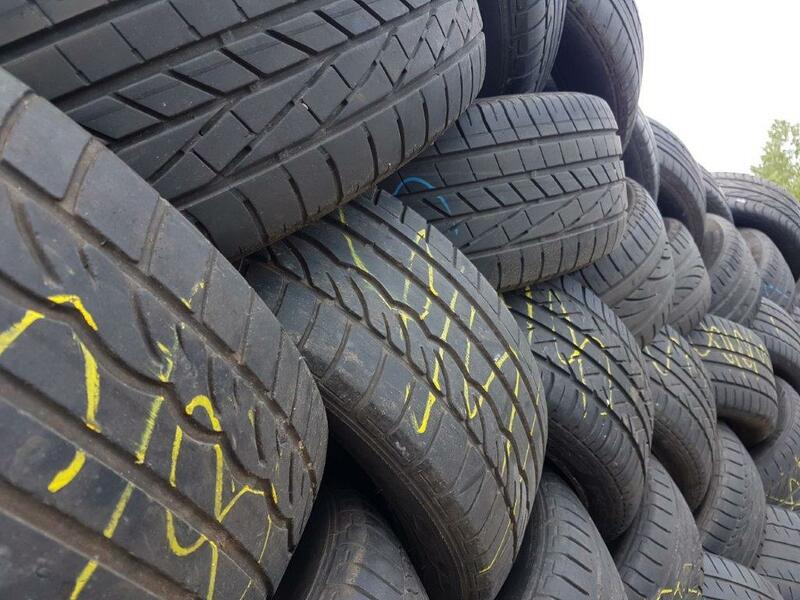 The tyres are in a good, visually tested condition according to our quality warranty. Here is the link directly to the export enquiry. 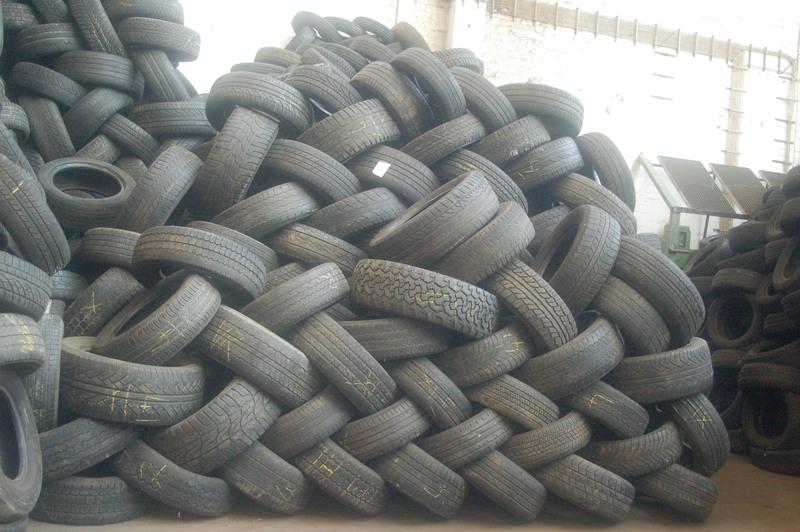 Here you can select other tyre mixtures. 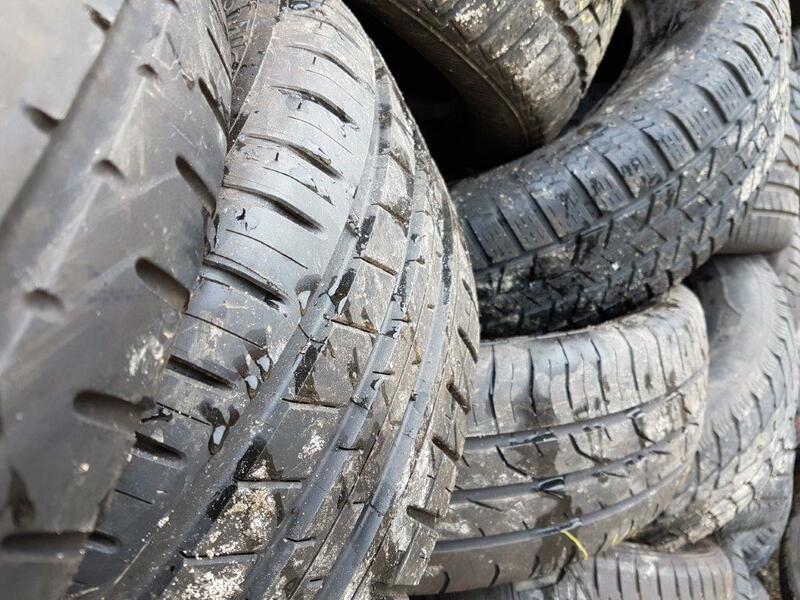 Almost all tyres have between 2 and 5 years. This offer can only be bought completely. 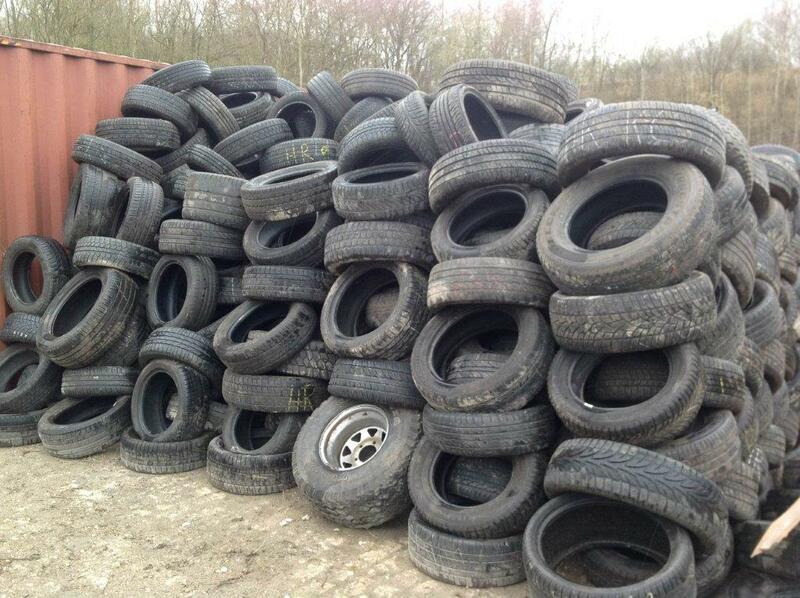 all prices plus all additional costs such as transport , triples , etc. 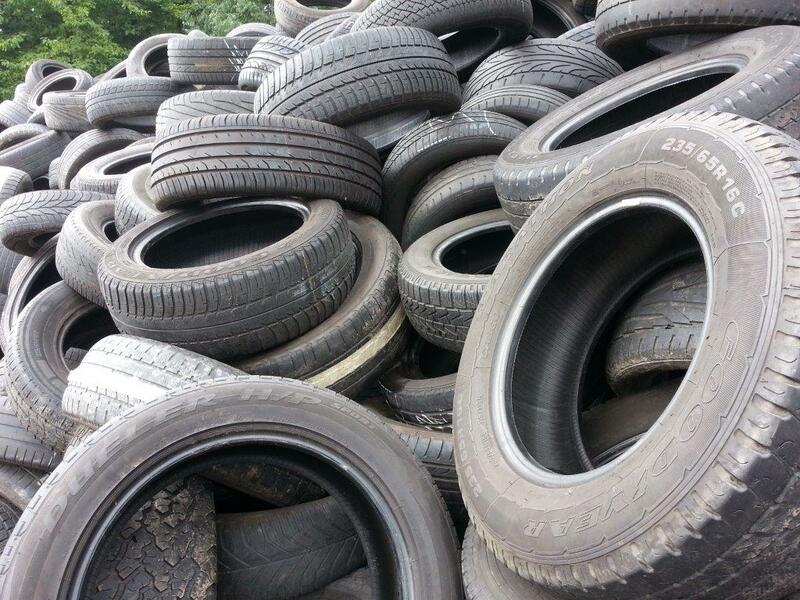 We deliver standard tyre mixtures, all tyre sizes as described in our prices and products. 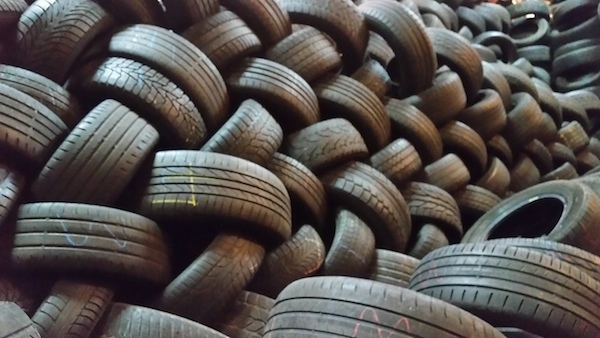 All tyres correspond to our quality warranty. Year 2000. Approx. 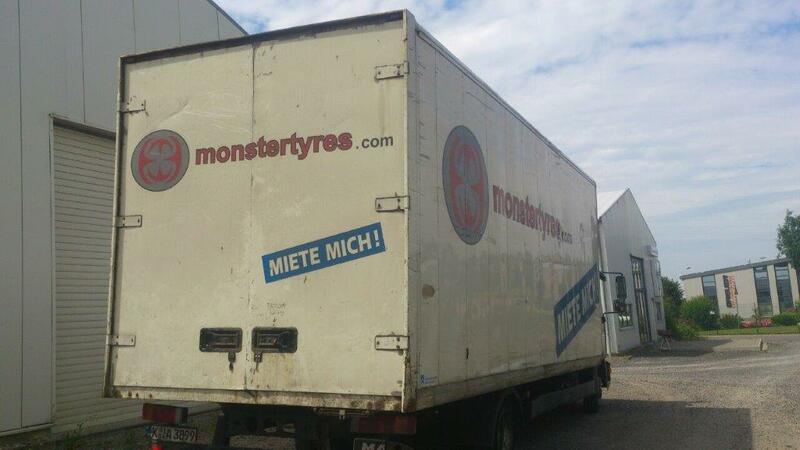 490.000 km, box inside 7,20m x 2,35m x 2,40m (total length 9,00 m), Gross Weight 7,5 tons, 3 seats, 114 KW (155 HP), Diesel. In a very good technical condition. We are pleased to help you choosing an appropriate transport company. 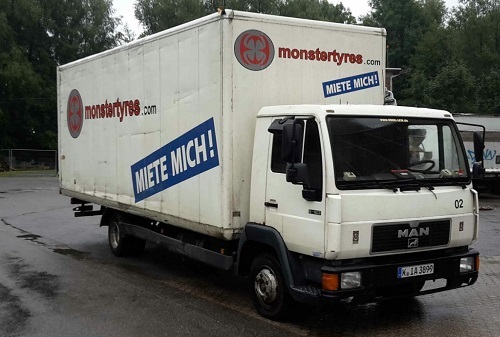 An Example for shipping to Lomé or Dakar 3440,- € with Hansen-Shipping. This offer can only be bought completely. Bj. 2002. 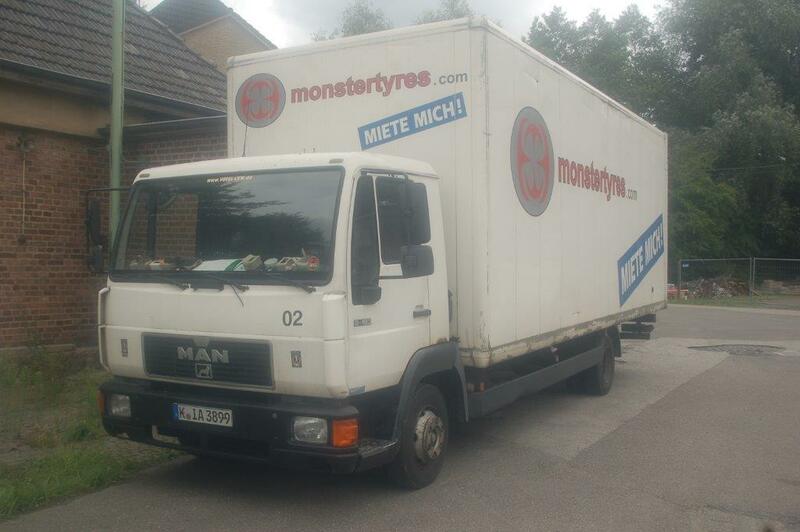 405.000 km, box inside 6,00 m x 2,25 m x 2,43 m (total length 8,00 m), valid total weight 7,5 t, 3 seats, 125 KW (170 PS), Diesel. In a very good technical condition. 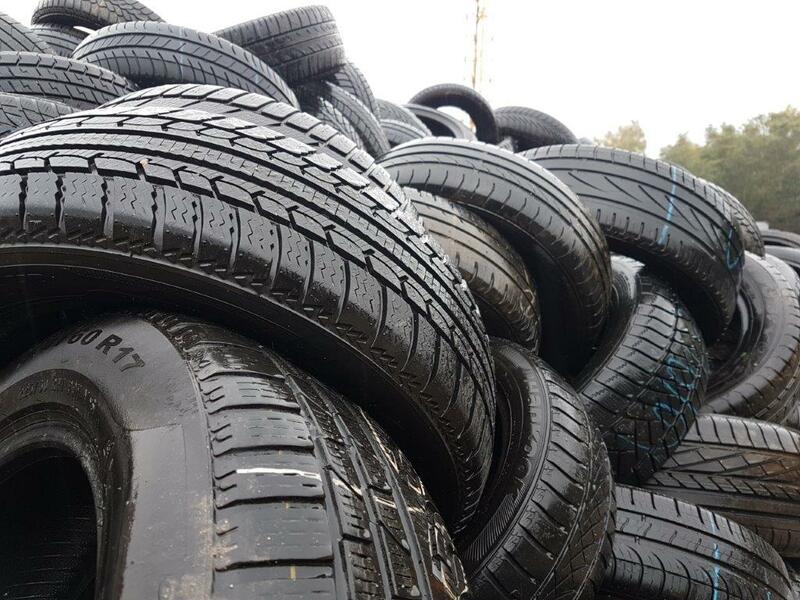 The tyres are in a good, visually tested condition according to our quality warranty for 1-3 mm tyres. 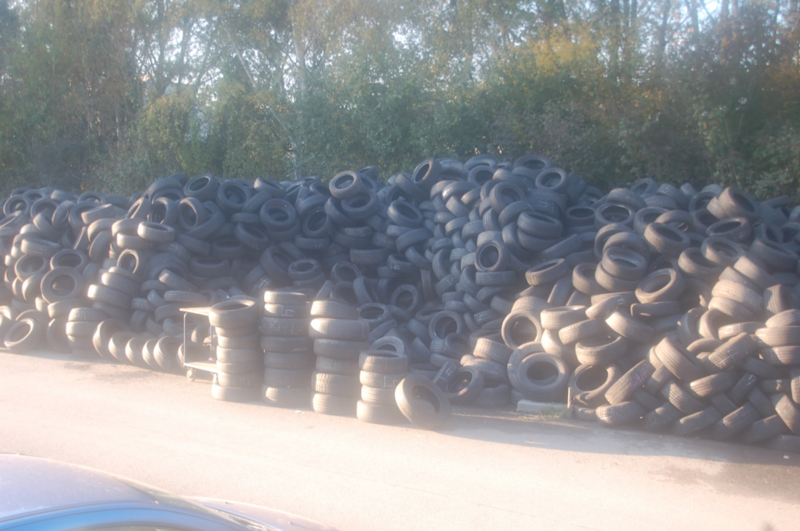 Small quantities are now available in our always good quality! 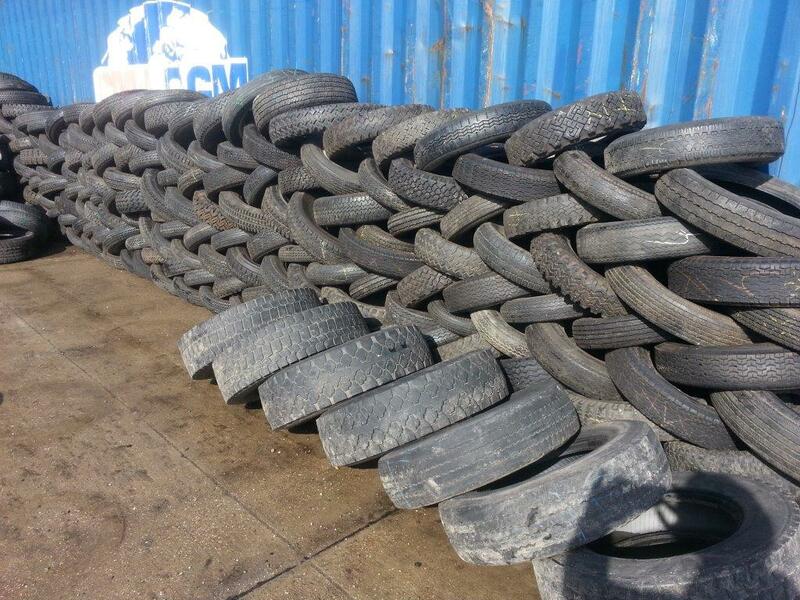 Two containers of tires for the price of one! 10 pairs of 5 to 8mm! 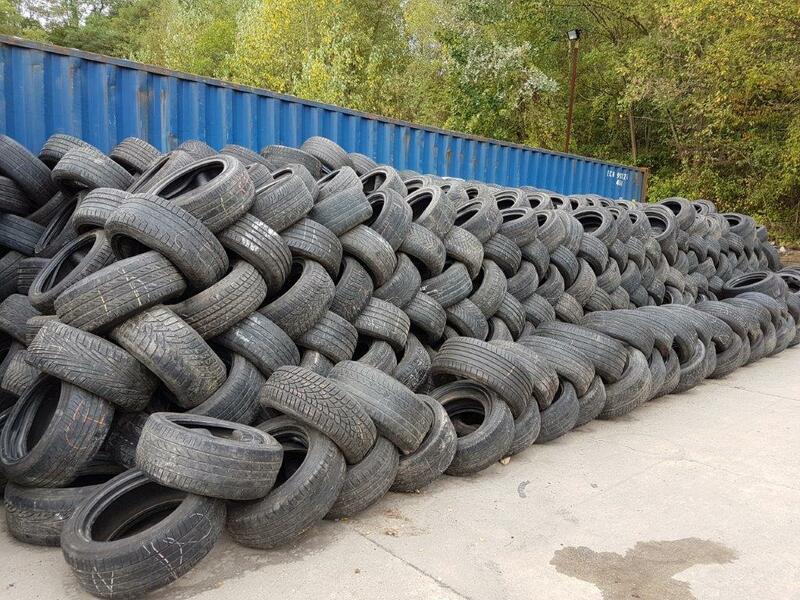 You can see the list of counted tires here. 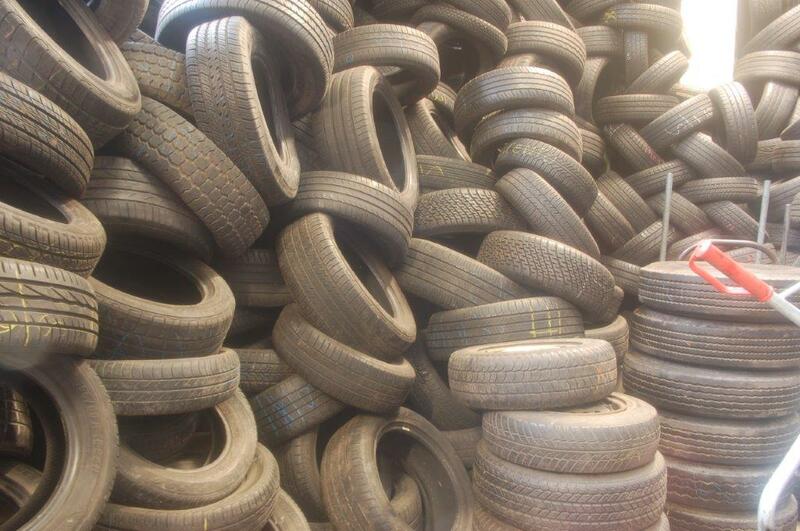 We supply a standard tire mix, all tire sizes as described in our prices and products and here. Year 1993. 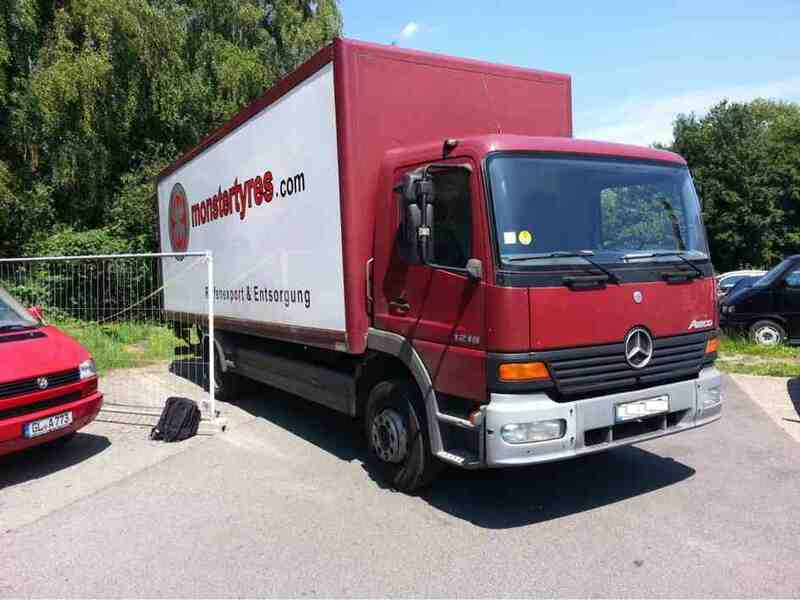 472,000 km, box inside 720 x 235 x 240 (total length 900), Gross weight 7.5 tons, 3 seats, 107 KW (145 HP), Diesel. In very good technical condition. Year 2002. 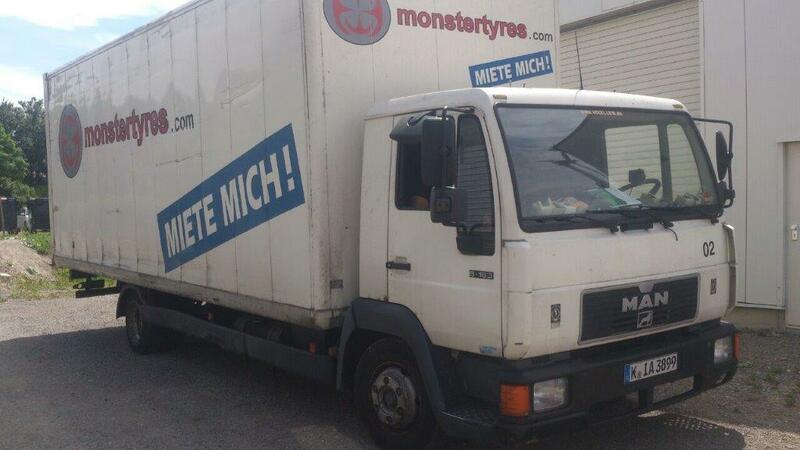 597,000 km, box inside 720 x 235 x 240 (total length 900), Gross weight 12 tons, 2 seats, 130 KW (177 HP), Diesel. In very good technical condition. Year 2002. 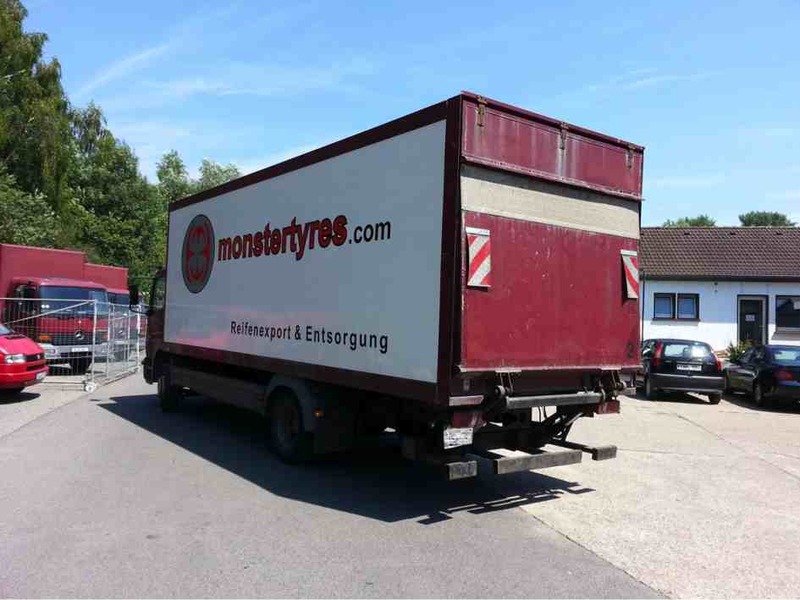 405,000 km, box inside 600 x 225 x 243 (total length 800), Gross weight 7.5 tons, 3 seats, 125 KW (170 HP), Diesel. In very good technical condition. 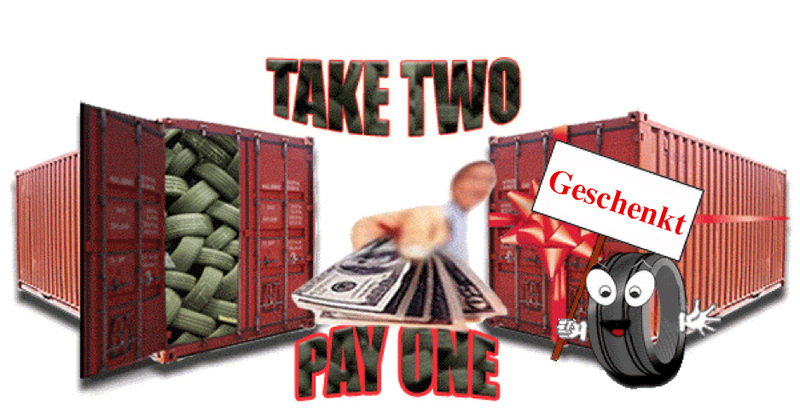 Get two containers for the price of one. 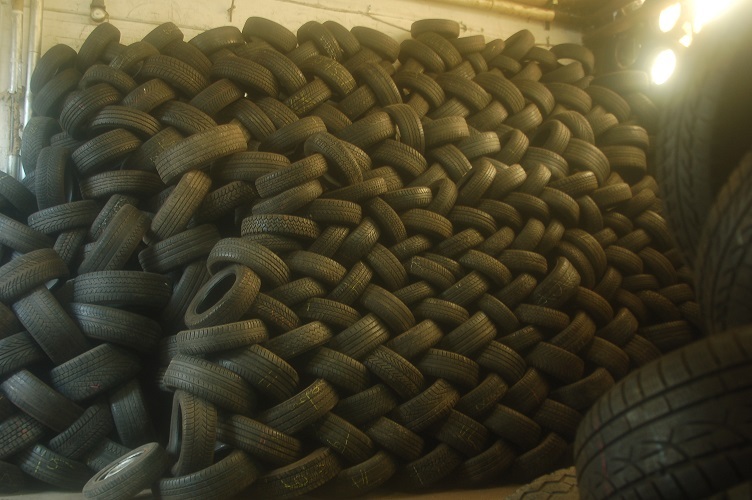 4500 tyres cost 2250 €. 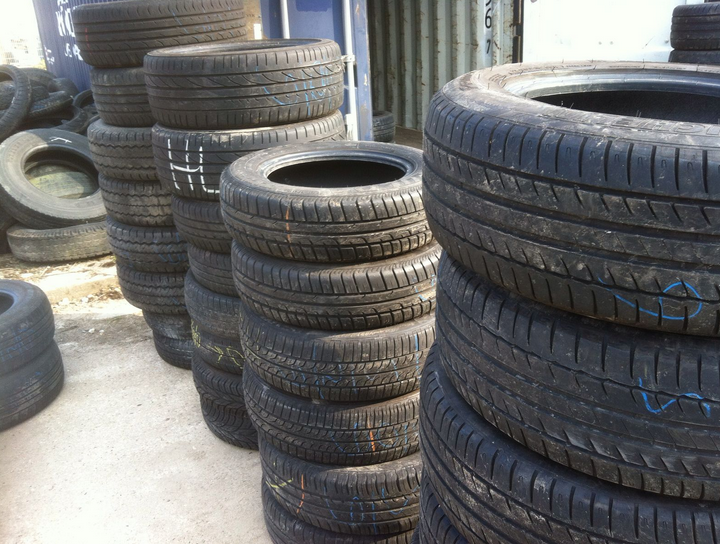 Here is the list of tyres. Quantities of sizes can differ. These are just estimations. This offer is only sold in a complete package. 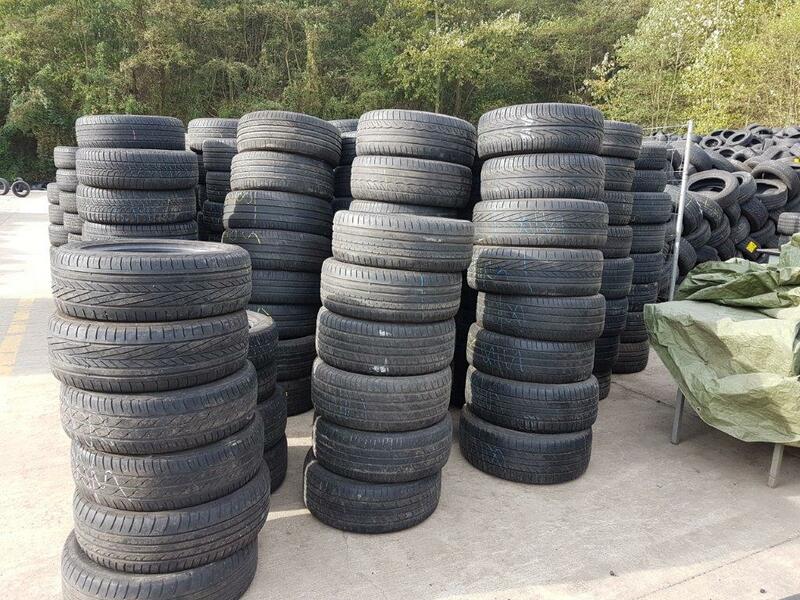 Price: 7,20 €/each, total price 3816,- € - You save 581,- € ! 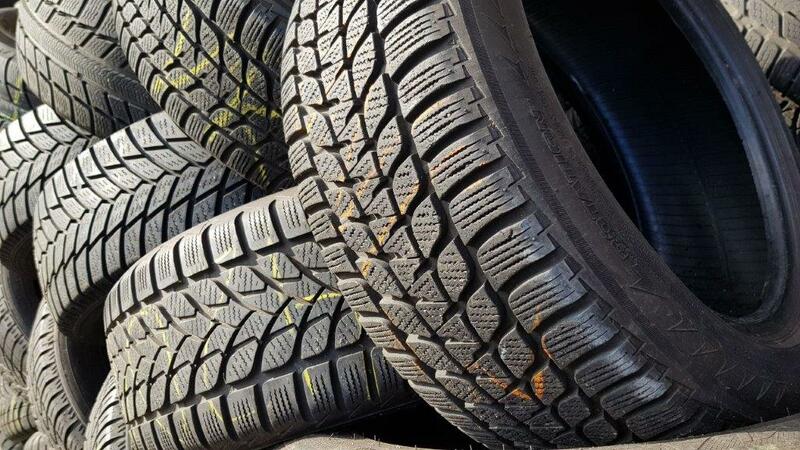 Summer tires and winter tires. 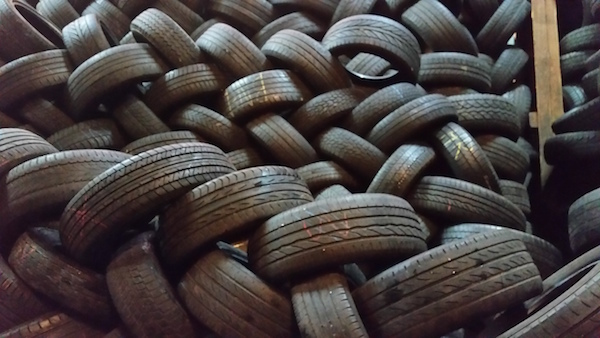 110 pairs and 420 singles. 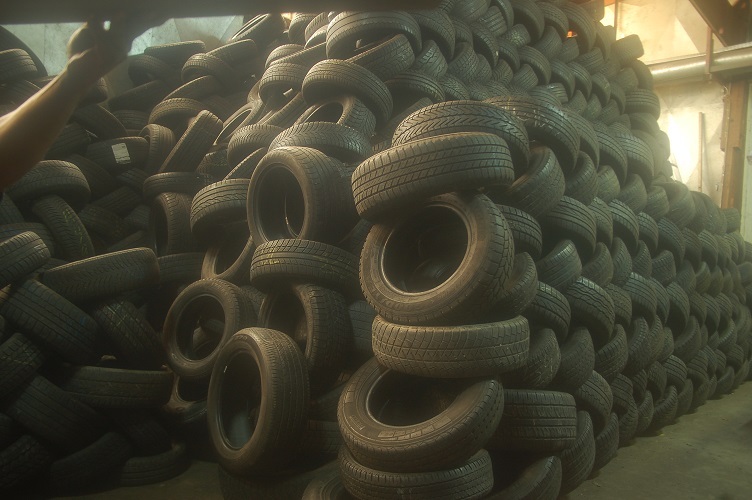 The tires are in a good condition and examined by sight, according to our quality guarantee.